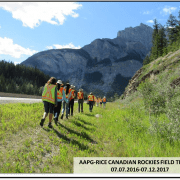 The AAPG Canada Region welcomed Rice AAPG Student Chapter for a four day guided transect through the Canadian Rockies. This trip was supported in part by funds provided by SHELL. Alana is leaning on a fossilized log! 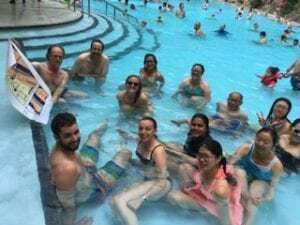 Kevin explaining the geology of Radium area while the whole group relaxes in lukewarm waters of the Radium hot water pool! Canada’s deadliest rock slide known as Frank slide, devastated the town of Frank in 1903 when the overturned anticline made of carbonate rocks in the Turtle Mountain fell off probably due to extensive mining practices and alternate freeze-thaw of snow on the mountains which made incipient cracks propagate into vulnerable fractures and cause the mass wasting. Big Rock Erratic: The huge chunk of quartzite was transported by glacier in the Last Glacial maximum and is dissected longitudinally, reason of which is still debated. 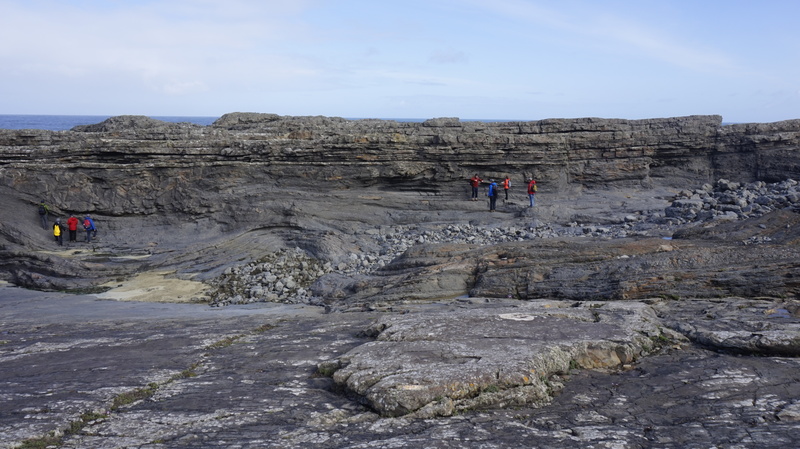 ESCI 546 “Advance Topic in Basin Sedimentology and Stratigraphy ” participated in a field trip to County Clare, western Ireland, from May 2nd to May 12th, 2016. 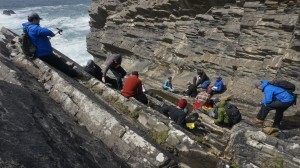 The class visited sea-cliff exposures of rocks found in the Western Irish Namurian Basin (WINB), which were deposited during the Upper Carboniferous (326 Ma – 317 Ma). 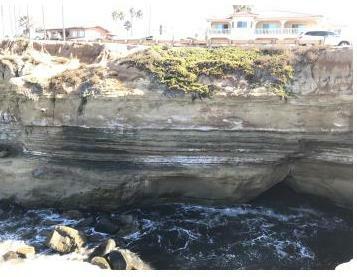 The deposits represent a variety of sedimentary depositional environments, including fluvial-deltaic to deep water turbidites. The rocks were later obscured by fold-thrust related deformation associated with the Variscan (Hercynian) orogeny, brought on by rift-related deformation during the breakup of Pangaea. 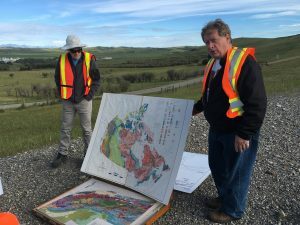 The WINB is an ideal location to evaluate the interconnectedness of the various sedimentary environments, in particular, linking the physical processes that shape the internal stratigraphy. 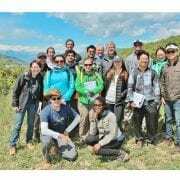 The first part of the class trip included a five day “basin overview” led by Professor Jim Best of the University of Illinois at Urbana–Champaign (UIUC), who has 30 years of experience working in the WINB. 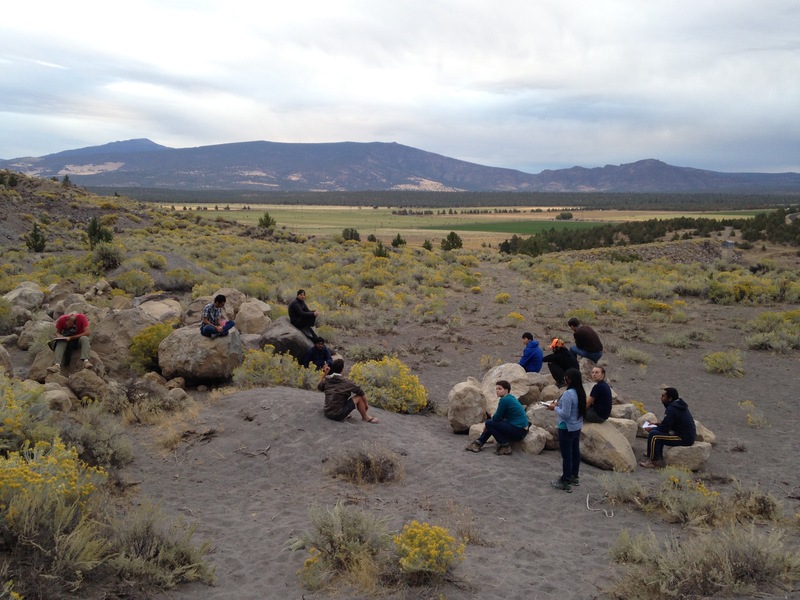 During this tour, students self-organized to develop research projects for the range of depositional environments. 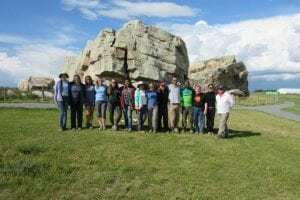 Students were then provided three days to work among the outcrops to pursue their respective projects. On the final day, these students led the class through the outcrops, presenting their specific findings. We arrived in Shannon, Ireland, on the morning of May 3rd. 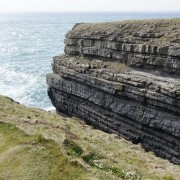 In the early afternoon, after settling into our rental home in Kilkee, we visited cliff exposures of the Ross Fm. near the Loop Head lighthouse. The Ross Fm. 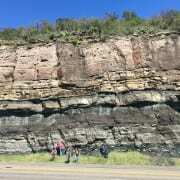 is a sandstone unit, interpreted as deep-water turbidite fan deposits. Among the lobes are a few channel features higher in the stratigraphic section. The Ross Fm. 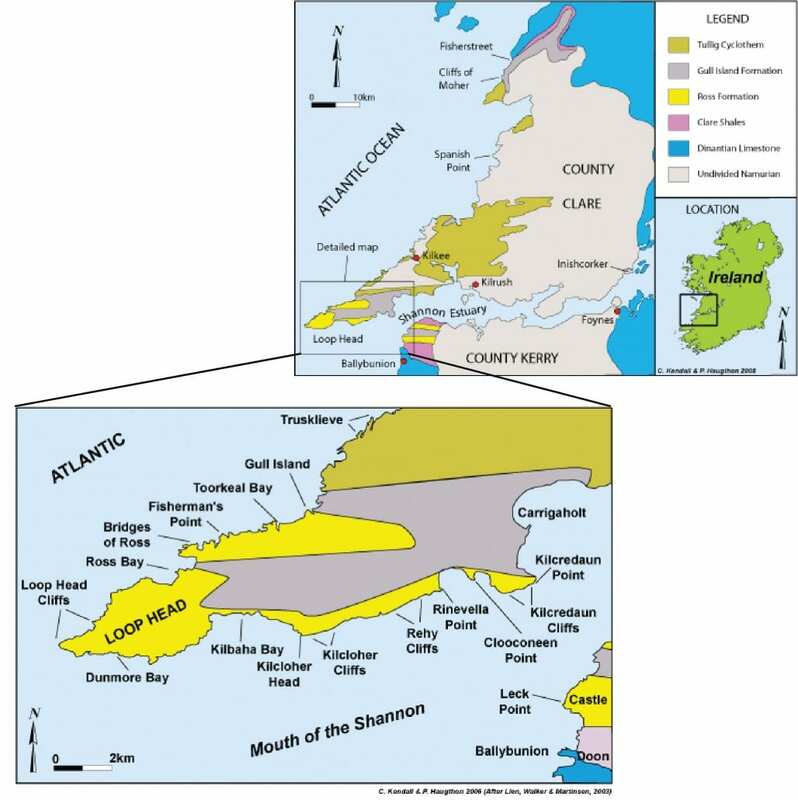 is the thickest near the Shannon Estuary (~380 m) and thins to the north, in the general direction of paleo flow. 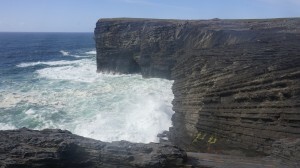 We drove north for 2 hours from Kilkee to the south of Galway Bay at the northern end of County Clare. 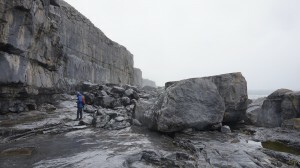 Here, we visited the Burren Fm., a Visean limestone unit that forms the basement of the WINB. This unit is interpreted to be a shallow-water carbonate deposit, likely associated with a shelf setting. The unit contains variety of fossils, including rugosa corals and brachiopods. Travelling to the south, we moved upsection to the “St. 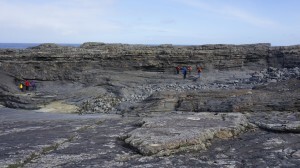 Brendan’s Well” outcrop to locate the contact between the Visean Limestone and the Clare Shale. The Clare Shale Fm. is the lowest unit of the WINB sedimentary fill, and consists of a deep marine black shale. 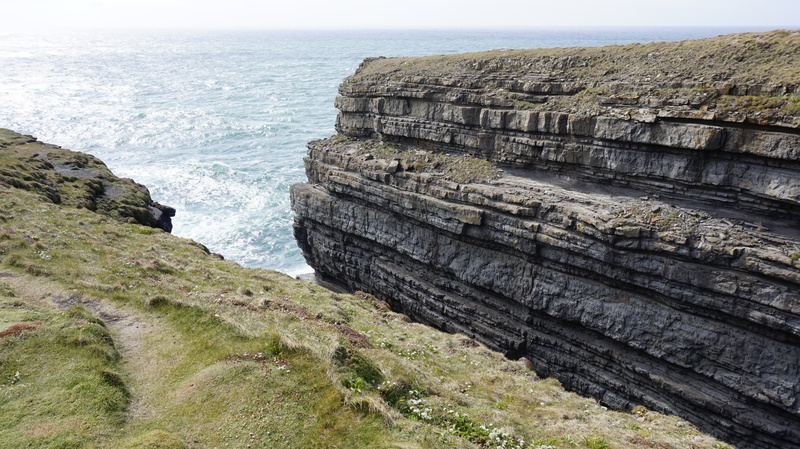 At the contact of the Clare Shale and Visean Limestone is a phosphate rich bed, ~ 8 cm thick, interpreted to be a condensed section likely associated with an open marine environment, where sedimentation is extremely minimal. We visited the Bridge of Ross and the Ross Fm. 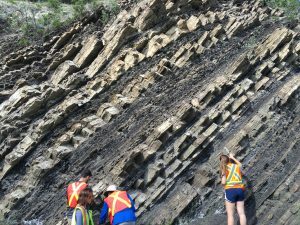 to examine the sedimentary structures found within the turbidite deposits. One of the most famous structures here is the Ross Slide, a highly deformed, inter-bedded mudstone and sandstone unit, which contains various soft sediment deposition features, including sand volcanoes and syndepositional folds. The Ross Slide is more recently interpreted as a slump deposit, whereby external forces caused liquefaction of sand and mud and initiated motion that produced significant folding and deformation. The Ross Slump is very laterally extensive (10’s of kilometers long), and this significant size is considered to be associated with a seismic event as triggering the the deformation. Moving up Section, we examined the contact between the Ross Fm. and the Gull Island Fm., identified by a thin layer of mud with a goniatite (ammonoid) band, which is likely associated with a condensed open-marine section. The Gull Island Fm. is interpreted as a slope deposit, whereby numerous failures trigger mass transport of sediment that ultimately feed the Ross Fm. 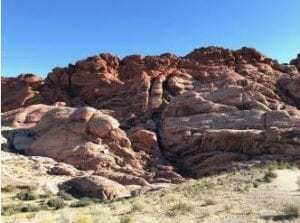 turbidite deposits. The Gull Island Fm. contains various styles of soft sediment deformation, including slides, slumps, growth faults, and mud volcanoes. At end of the day, we visited the Tullig Cyclothem, the formation atop the Gull Island. Here, this cyclothem represents alternating sequences of fluvial-delatic and near-shore, shallow marine deposits, indicated by a classic coarsening upward deltaic sequence of interfingering pro delta, interdistributary bay, and fluvial-deltaic deposits. 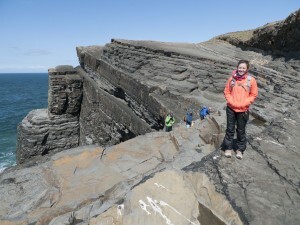 The middle to upper Tullig Cyclothem is characterized by channels of various sizes, and the Upper Tullig sandstone possesses bedforms and terrestrial plant fossils, indicating a fully fluvial depositional setting. We took a boat ride on the Shannon Estuary, in order to observe cliff exposures of the Middle to Upper Ross Fm., and the underlying Clare and and Visean Limestone. The upper Ross Fm. contains numerous feeder channels that routed sediment to the fan lobe deposits of the Ross Fm. Later, we drove to Trusklieve to visit the Tullig Cyclothem in detail, specifically, the changes in vertical stacking patterns. Stratigraphic Sequences of the Tullig Cyclothem at Trusklieve show that an overall coarsening upward trend is pervasive (as described above). 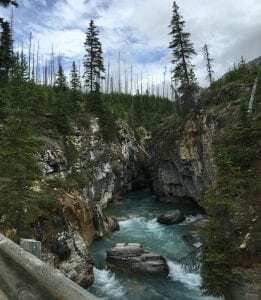 Moving up section, there is an increase in the frequency of amalgamated channels bodies, which possess bedforms, barforms, and terrestrial plant fossils, all of which indicate a land-based fluvial-deltaic environment. Overlaying this fluvial section is a thick transgressive mudstone that contains various types of marine fossils, including zoophycos, which is a trace fossil left behind by the movement of polychaete worms. Above this mudstone is a marine mud bed, rich with goniatites, and representing the final stage of the Tullig transgression. 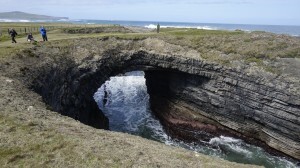 Overlying this is the Kilkee Cyclothem, which progrades overtop and marks of the onset of a new fluvial-deltaic progradation. We drove several kilometers north of Trusklieve to examine the Tullig Cyclothem at Killard Bay. 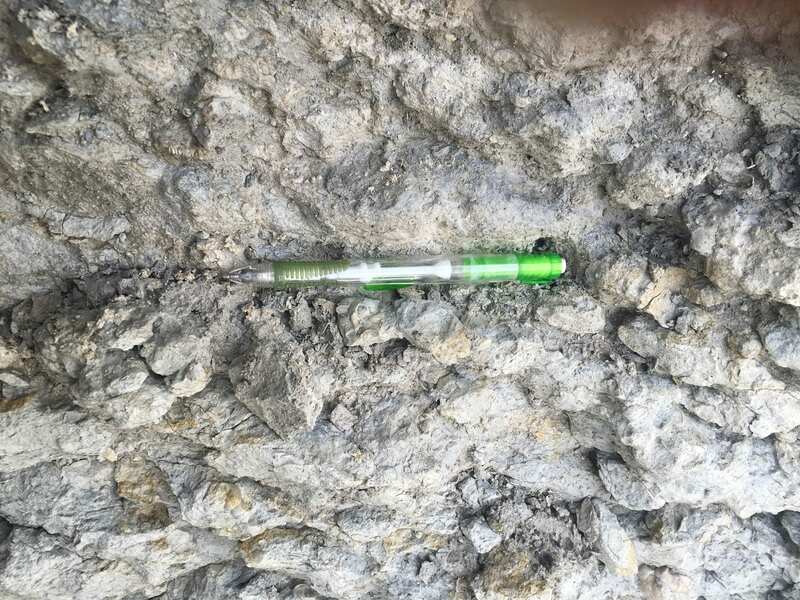 We observed similar coarsening upward sand bodies, as well as sedimentary structures and plant fossils that are quite similar to those observed at Trusklieve. 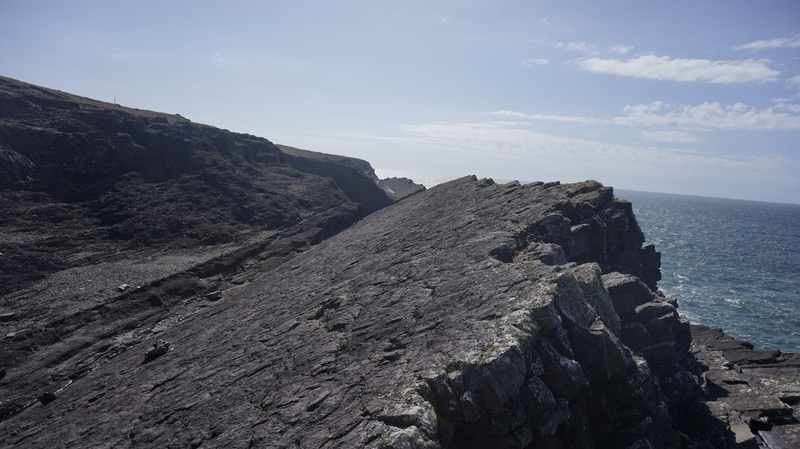 An interesting question arose regarding this outcrop: Why do the bedform foresets dip at such a shallow angle, much lower than angle of repose? 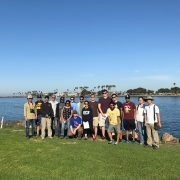 Hongbo Ma is investigating this phenomenon, and has some interesting findings based on ongoing studies in the modern Huanghe River (China) which could be used to compare to the Tullig channel dunes. 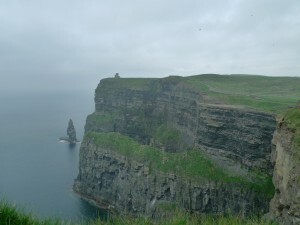 We visited the Cliffs of Moher on the northern end of County Clare. This location is distal part of the WINB, where it contains a condensed section of all the previously visited sedimentary formations. 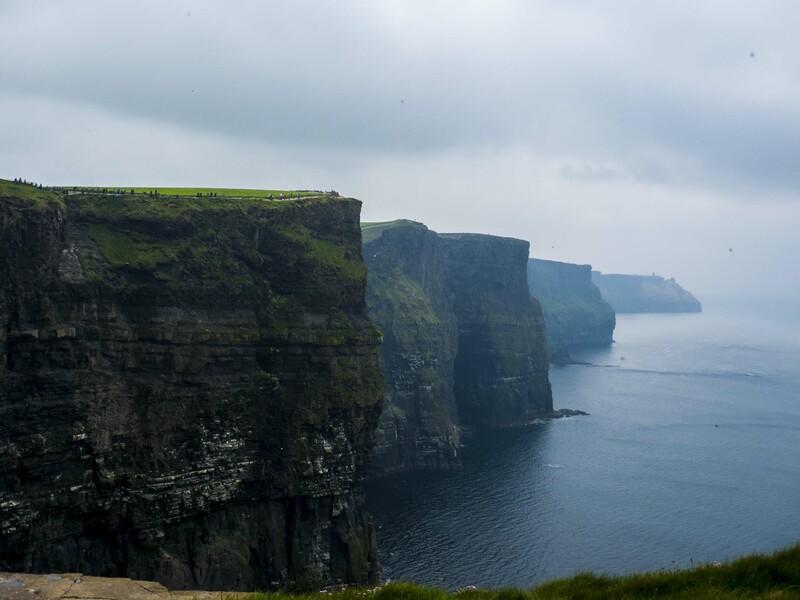 At the highest point of Cliff of Moher, stands the O’Brien’s Tower, an observation tower build by local landlord in the early 1800s. 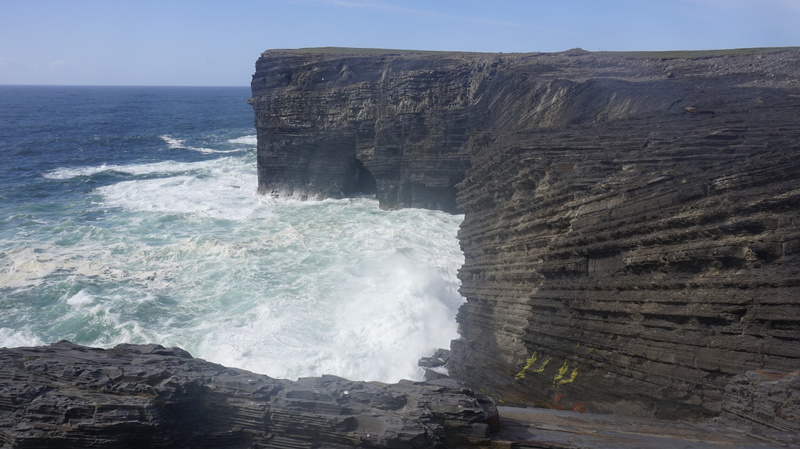 Standing by the tower, we had a spectacular view of the Loop Head peninsula and north Atlantic, which is a great way to conclude this wonderful trip. It was a nice and sunny Saturday when we started our journey on I-10 going west of Houston. We crossed Pleistocene and thin Pliocene rocks until we were near the Little Low Miocene Hills of Columbus, a very small strip. Finally, we arrived at our first stop where lower Cretaceous rocks onlap onto basement rocks. We noticed that Oligocene rocks were missing. 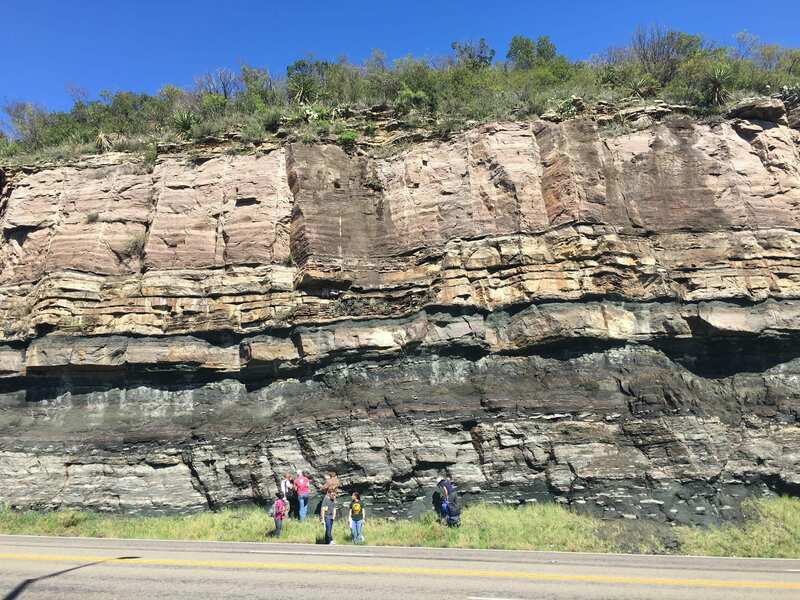 At this stop, we saw Glenrose basement rock overlain by Walnut Formation (110 Ma). 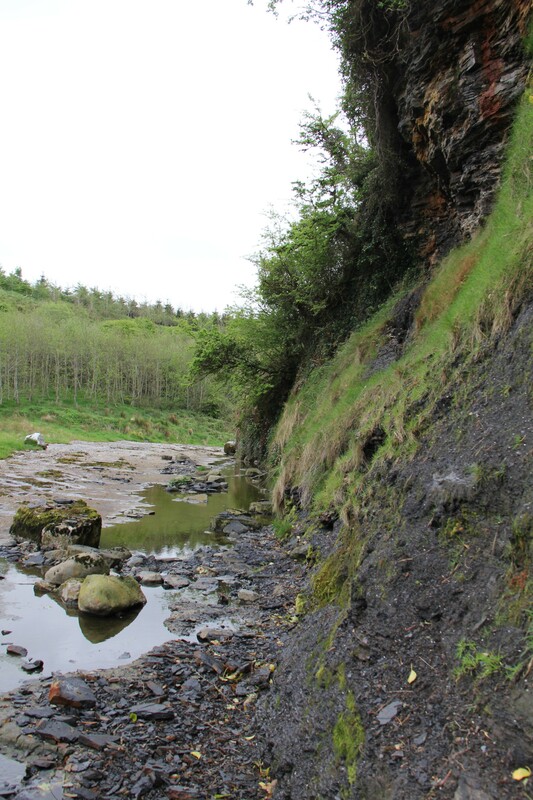 The lithology of the Walnut Formation is a lime mud marl (limestone), and the beds seen are horizontal and fissile. The beds contain fossils and some of the fossils found include the famous Devil’s toenail (exogyra), oyster, snails and warm burrows. The worm burrows are indicative of a depositional environment with ubiquitous bioturbation. Since it was quiet enough for worms to burrow and mud to be deposited, we speculated that the depositional environment was lagoonal. If this is the case, it could be an indicator of paleo sea level. There is an enigma surrounding the Walnut formation. If it was formed close to sea level, how is it that the elevation is now 297 m today? 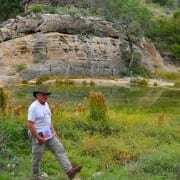 The question of when and how the Llano Uplift (part of the Edwards Plateau) occurred is still a mystery in geology. 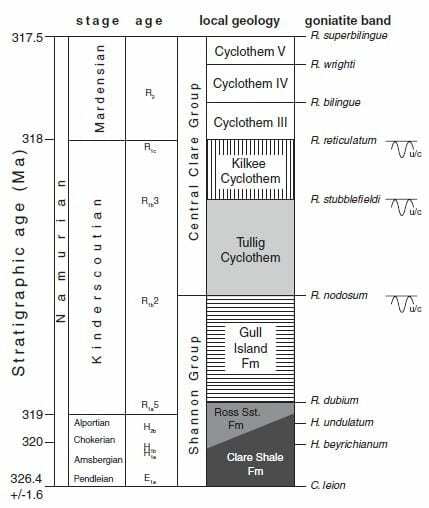 Some researchers have pinned it to Oligocene time. 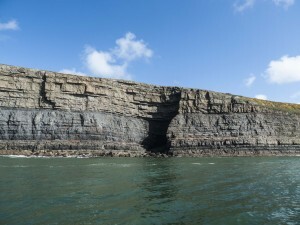 As far as how it occurred, several theories exist: (1) magmatic underplating from ultramafic intrusions along the Balcones Escarpment; (2) a flexural response from forebulge to the coastal basin; and (3) Jurassic salt moving to the surface, causing Cretaceous rocks to slide and creating offset. Transition from Glen Rose to Walnut Formation moving upwards. 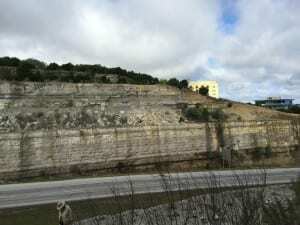 Glen Rose has harder, regular bedding, where Walnut has muddy Cretaceous limestone. Close-up of the Walnut Formation. Contains visible shelled organisms and exhibits diffuse bedding. The Honeycut Formation is Ordovician in age. About 100 m of limestone has been eroded here in comparison to the Walnut Formation, and this is reflective of the erosional window of the Llano Uplift. 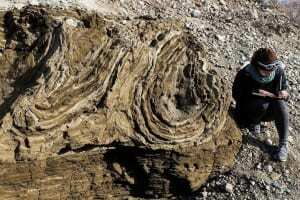 The formation is highly laminated and contains bacterial mats (stromatolites which grow on tidal flats). There might also be some stylolites although it is not certain. 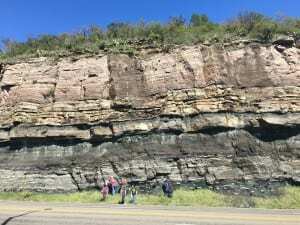 Barnett Shale, which is Mississippian-Devonian in age, can also be seen at this outcrop, but it is very thin. In West Texas, the Ellenberger limestone is a major carbonates reservoir where it was exposed, karsted, faulted, and later sealed. The faults here are related to the Ouachita orogeny (which is younger than 300 Ma) and analogous to the Alleghanian orogeny of North America. Although the Honeycut marble is the downthrown side of the fault while the granite is upthrown side, the granite appears to be eroding faster than the marble. The result of this is a reverse topography instead of what we would expect from faulting. 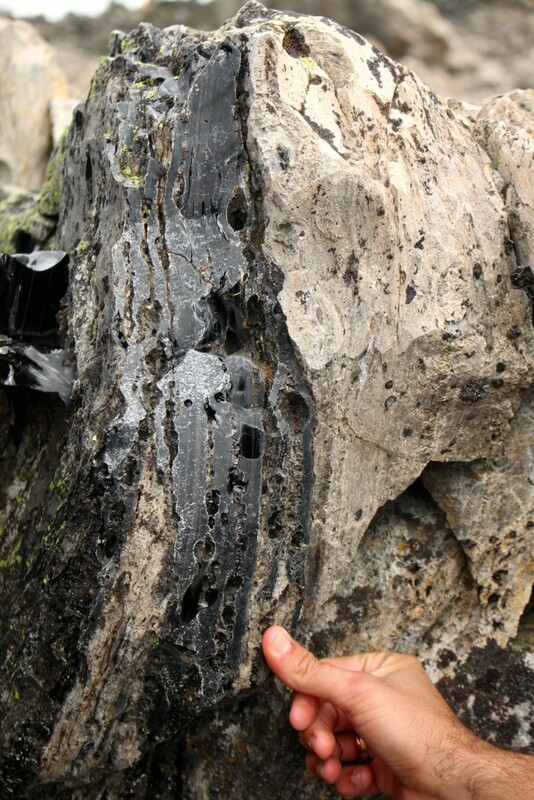 Stromatolite in the Honeycut Formation. The Cambrian rocks are beneath the Town Mountain Granite, so we should have been in a graben (central downdrop block), but instead we were standing at a local high point. This is another instance of inverted topography due to erosion of the granite which has relatively low resistance. At this stop, we were standing on normal fault with two more faults running perpendicular in the Cambrian rocks before us. The Lion Mountain green sandstone across the road was formed by worm droppings in an anoxic environment, creating a mineral called glauconite. The sandstone is pelletal in texture and contains white lenses that we identified as trilobite hash. There are little muscovites on the surface of the trilobite deposits suggesting past metamorphism. Underlying the Lion Mountain is the upper Hickory Sandstone containing iron oolites, indicating a ferriferous depositional environment. 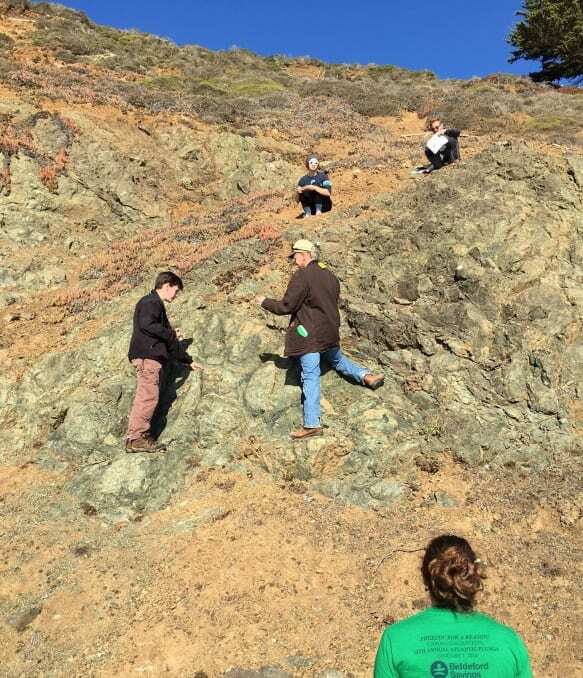 Above the dark green sandstone we observed a color change to whitish-green and a compositional change to coarser grains containing more quartz. 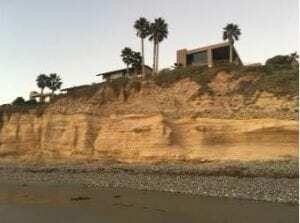 This is indicative of the depositional environment moving inland up the strata with the upper rock likely deposited in a shoreface to backshore setting. The whitish-green then transitions upward into a pink and green rock. The presence of herringbone bedding within this upper section signifies a tidal phase, perhaps an offshore to lagoonal environment. 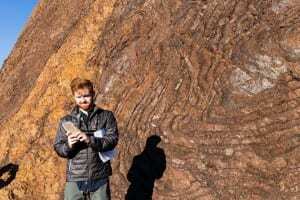 Overall the Lion Mountain Sandstone is less resistant than the overlying strata. Within the whole body we found an oxidized strike slip fault with mellow plunge in the slickenlines. 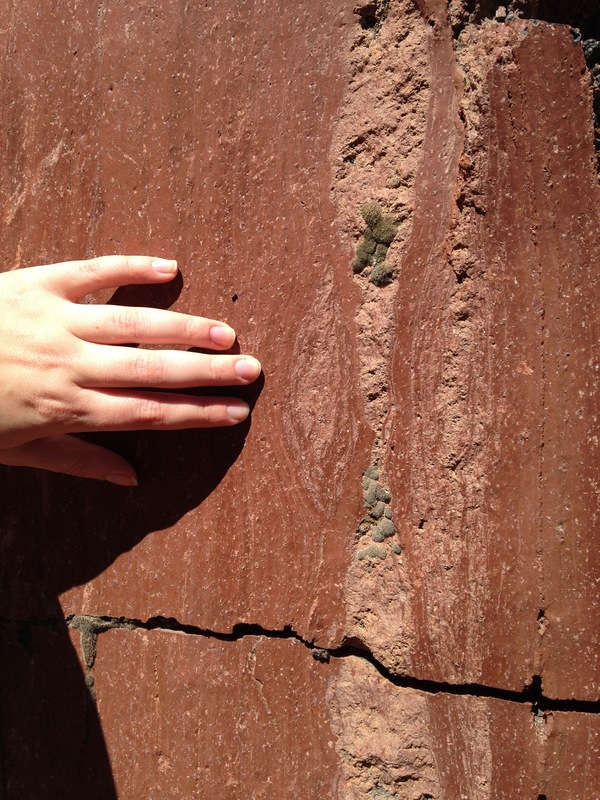 Predominately strike-slip fault (with some thrusting) in Lion Mountain Sandstone. 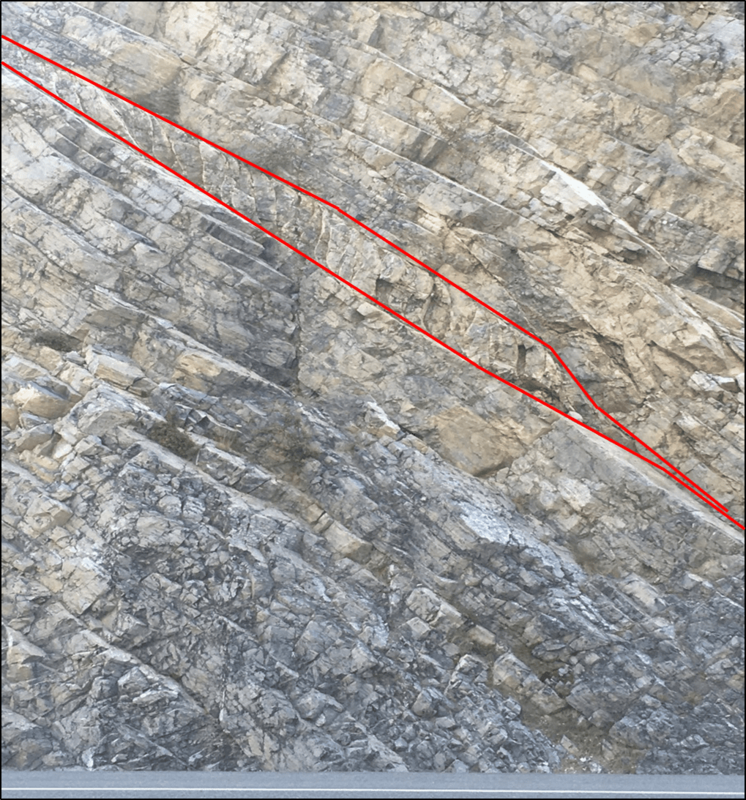 Directionality indicated by slickenlines on red Fe-stained parts of glauconite on right side of fault. 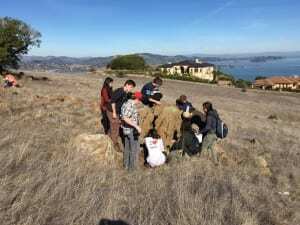 Students looking at the Lion Mountain Sandstone. Here we saw heavily deformed quartzofeldspathic gneiss among other schists and gneiss. 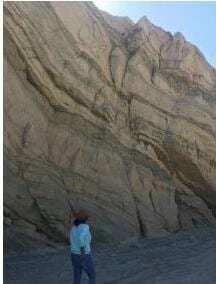 Up to four generations of folds and five associated foliations were able to be identified, all of which except the last were penetrative and seen through the whole area. Granitic dikes and intrusions were present and responsible for local metamorphism. Granitic dike cutting through the Valley Spring Gneiss. Distinct F3 fold in the Valley Spring Gneiss. For our last stop on Day 1, we examined a synform in the Valley Spring Gneiss by the Llano River. We measured the attitudes for several mineral foliations, plotted them on a stereonet, and attempted to match the data to our observations. At another spot by the river, we observed a Valley Spring pluton dated approximately 1250 Ma with a dynamothermal overprint dated 119 Ma. We noted that there was not much foliation in the country rock. The texture of the rock suggests that it was not highly metamorphosed. Old Valley Spring pluton by the Llano River. At this stop we observed the graphitic Packsaddle Schist. 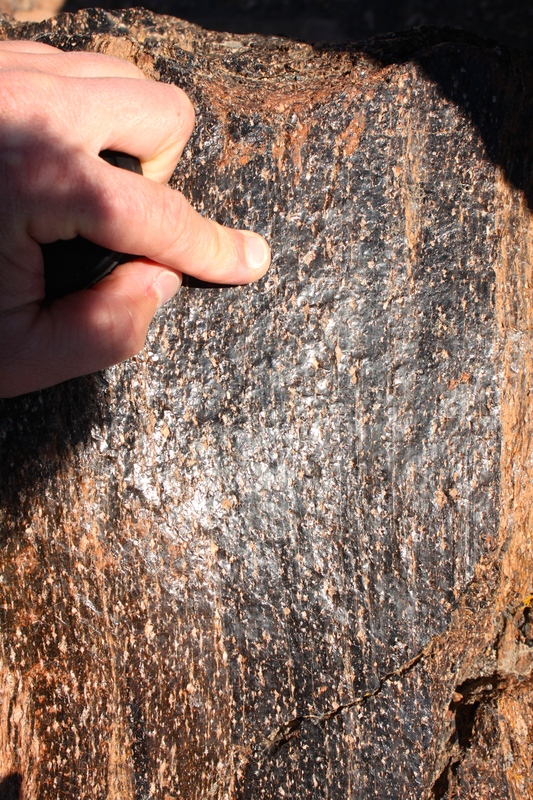 Lightened zones indicate the graphite was volatilized during intrusion, oxidizing the rock along the boundary and bleaching it. 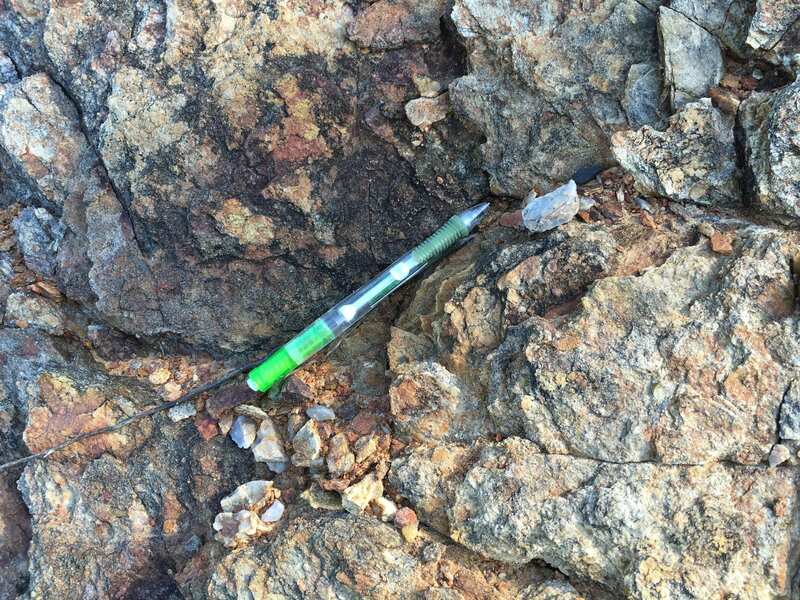 Overall the schist is blue in color with white folded quartz veins. It is fairly resistive and contains S1 and S2 folds. 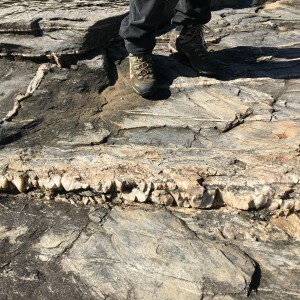 Little knots of quartz represent the old fold axis of the formation, and the initial folds appeared to be very ductile. We measured the trends and plunges of various foliations. 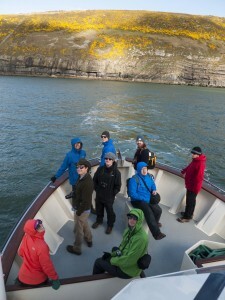 The folds are typically isoclinal with some shearing, and the plunges of the fold axes range from steep to shallow. 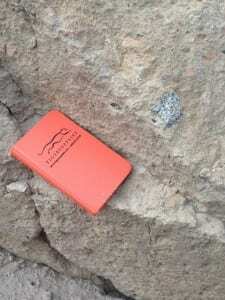 Within the schist we observed some vestige of the sedimentary protolith, a dark shale stacked atop a light sand. 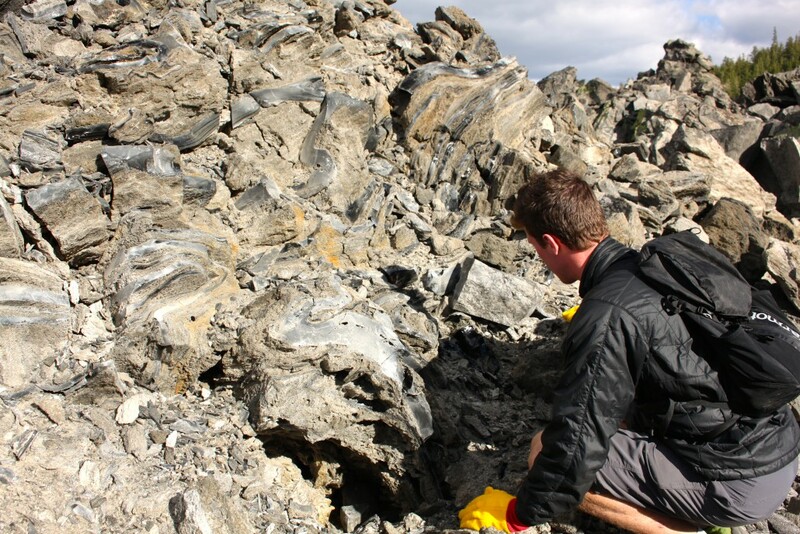 We noted sheaf folds and contemporaneous multi-directional folding, unique kinematic indicators for shear. The timing of the main assembly of the schist dates to 1140 Ma, predating the intrusion of the Town Mountain Granite. These schists are roughly the same grade as the gneiss we saw the previous day; both were metamorphosed at the amphibolite facies. 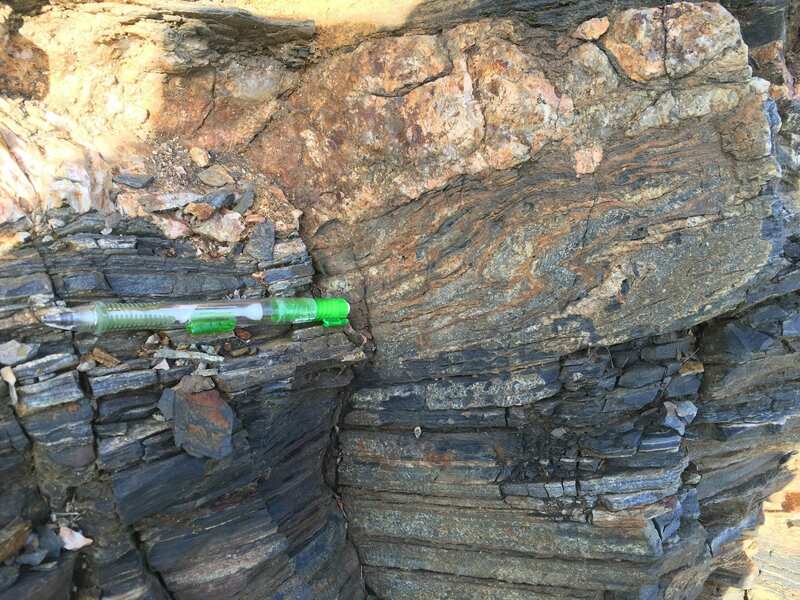 Packsaddle Schist containing graphitic layers (dark banding) and folded quartz veins (white). 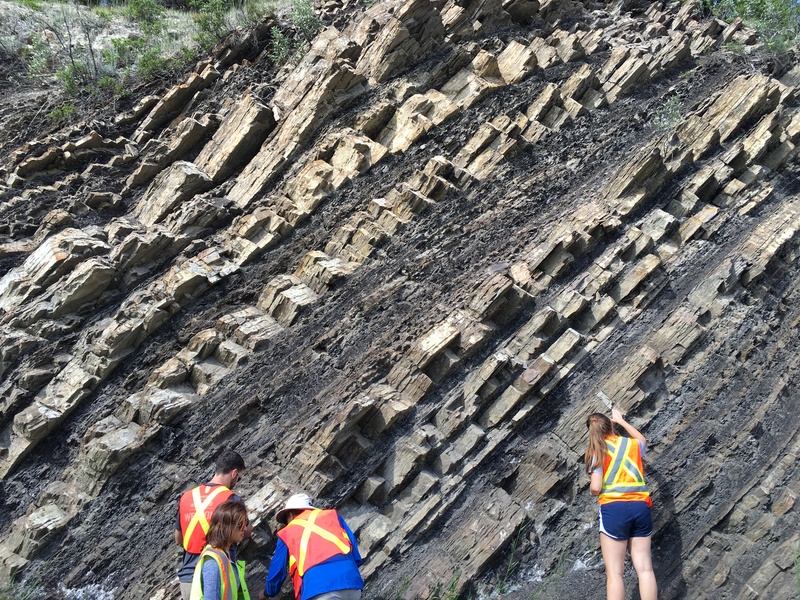 The next roadcut we stopped at was notable because of the presence of cement-like cordierite nodules which statically overprint the rock’s foliation. Cordierite is characteristic of high temperature, low pressure contact metamorphism associated with later stage plutonism. It contains no clear crystal structure and is only visible in thin section. Since the cordierite overprints foliation but exhibits none itself, we know that this stage of plutonism postdates folding. The Packsaddle rock here is more schist-like than what we saw at the last stop; the protolith is less obvious. Packsaddle Schist with cordierite indicated by the weathering pattern. The cordierite is more resistant than the schist. At this stop, we had an opportunity to see a rock specific to Texas, llanite. Llanite typically has blue quartz phenocrysts and K-feldspar. 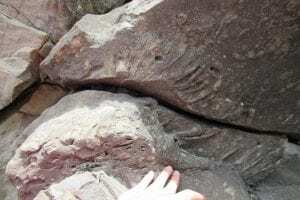 We saw some of these diagnostic characterics in the rocks surrounding the llanite dike that cut through the area. 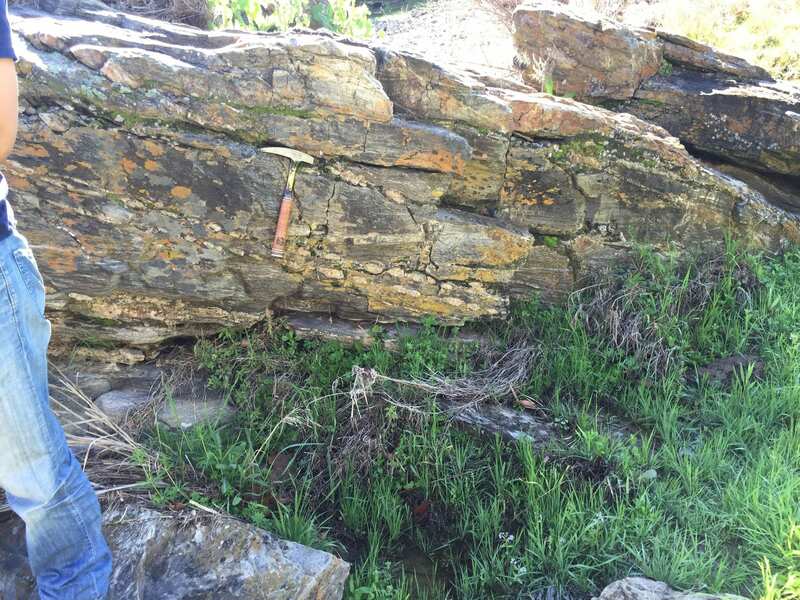 This dike is dated at 1098 Ma and indicative of late-stage rhyolitic igneous activity. 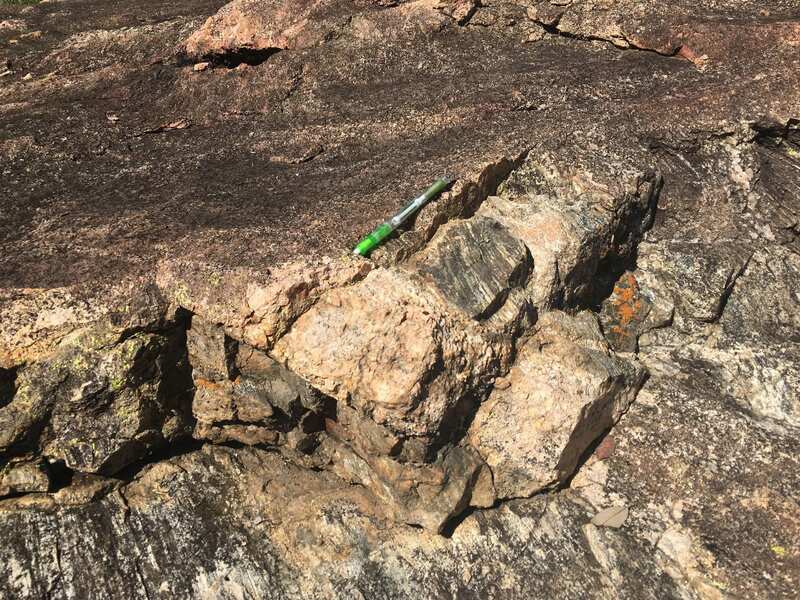 Due to the lack of metamorphic overprint, the area is estimated to be at least 20 million years younger than the Town Mountain Granite not far from there. 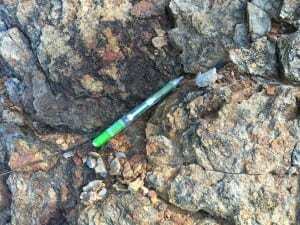 Further, the surrounding rocks had an aphanitic texture due to being injected into the mix at a shallower depth. They had to formed near the surface to avoid crystal growth and develop this texture. An interesting feature we observed in this area included veins that were folded. 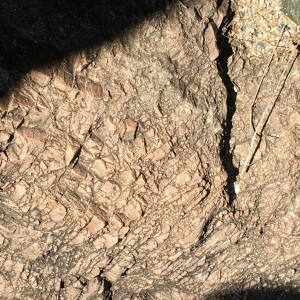 First, in order for the veins to be formed, the rocks had to exhibit brittle behavior by cracking, and then later on exhibit ductile behavior for the veins to then be folded. This brought up the transition between brittle and ductile behavior which can occur due to changes in temperature, overburden pressure, or strain rate. 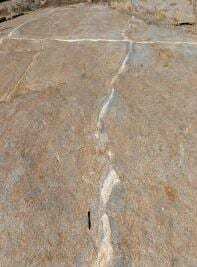 The boudinage of the veins also indicated flow after formation. We also saw some crenulation folding that indicates a later extensional event due to its lack of offset from the main formation. 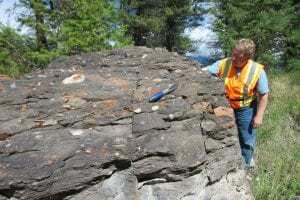 The Sandy Creek Shear Zone is home to unique rocks that were crushed at high pressure and low temperature. We inferred these conditions from the crushed rock grains that lack evidence of recrystallization. 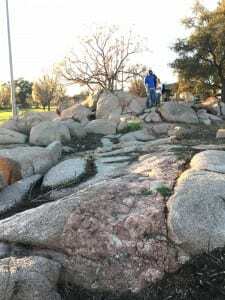 At this stop we could also see another rock very specific to Texas, the Town Mountain Granite. This felsic granite appears to have orthoclase, hornblende, K-feldspar, quartz, and mica. The granite owes its pink color to abundant K-spar. 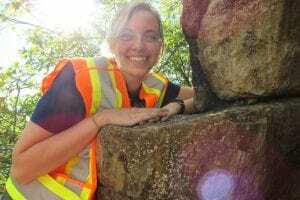 In some places, the rock looks very “beat up” in that it has discrete fractures and seems to have undergone violent deformation at temperatures much lower than the solidus of the rock. Very little of the protolith was left untouched. The granite has been sheared but not recrystallized due to its location at shallow depths in the crust. 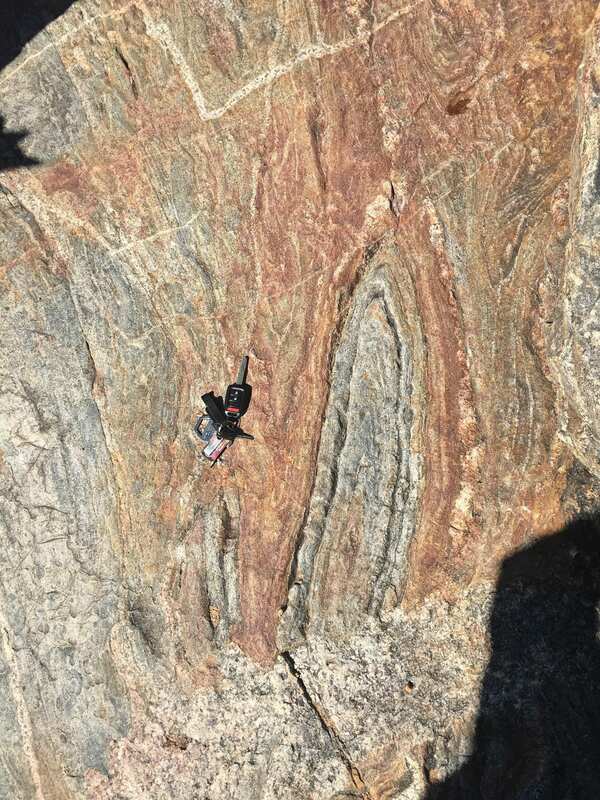 This formation brought up the brittle vs. ductile deformation question again when we observed that the sheared granite was brecciated to a fine-grained texture. 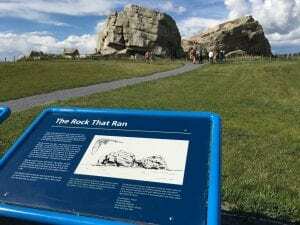 Does the cataclastic but cohesive nature of the rock mean that there was some sort of cataclastic flow? 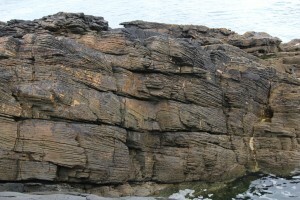 This formation was a prime example of the blurred and ill-defined boundary between brittle and ductile deformation and could perhaps represent some sort of boundary condition between these two categories. The fact that there are mylonites half a kilometer down the road from this formation and its relative location indicates that the Sandy Creek Shear Zone is a point of contact between the Coal Creek and Packsaddle domains. Brecciated sheared granite exhibiting cataclastic flow. The gneiss here is similar in lithology to the rock at the Sandy Creek Shear Zone. Unlike the previous stop, this rock has been recrystallized after flowing. High-temperature ductile flow and partial melting occurred. 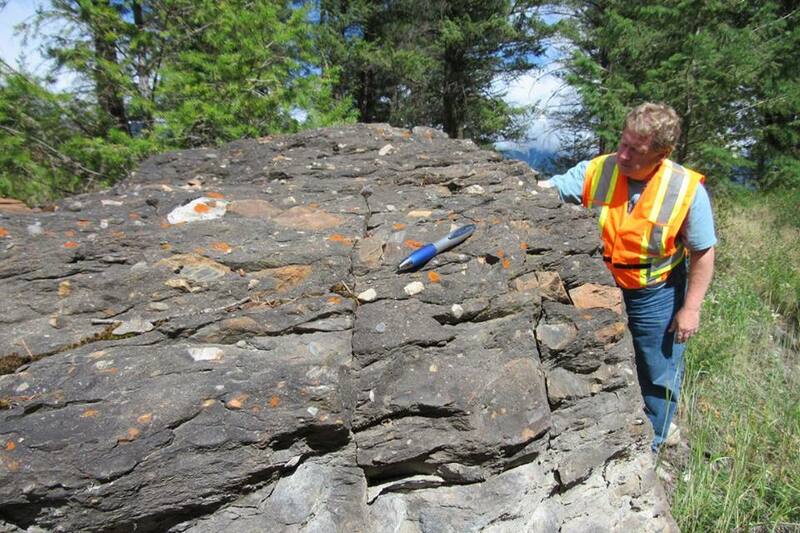 This outcrop is a mylonite, meaning that grain size was reduced by plastic deformation during recrystallization. Minerals more resistant to grain size reduction, such as orthoclase feldspar, were rolled during deformation, resulting in clear mineral lineations and classic augen gneiss eye-like feldspar features. 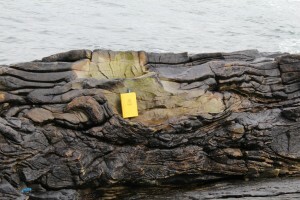 These rocks were clearly hotter than at the previous site, yet sit topographically higher, indicating that they likely did not undergo contemporaneous deformation. 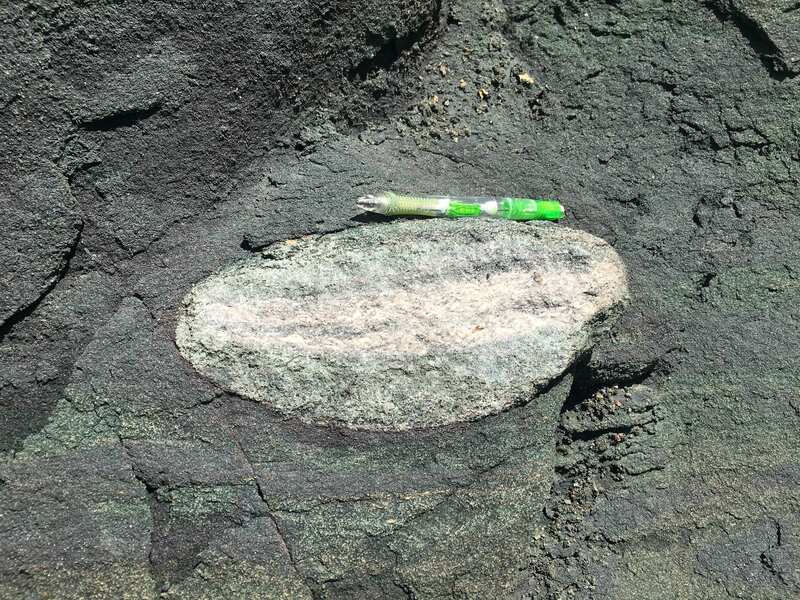 Augen gneiss outcrop with mineral lineations lying on a foliation plane. Here the cataclastic flow and mylonite from the previous two stops (4 and 5 respectively) are interwoven. This leads us to believe that the two different flow features at their respective sites must represent the early and late stage of the same shear zone. Additionally, this locality is near the transition into the Packsaddle Schist, sitting at the base of the Coal Creek domain. 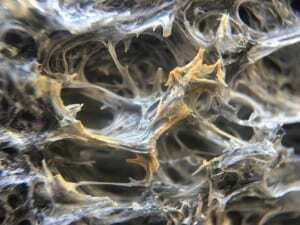 Interwoven cataclastic flow and mylonite. The serpentinite seen at the quarry here is a 6 km long section of the Coal Creek Domain. 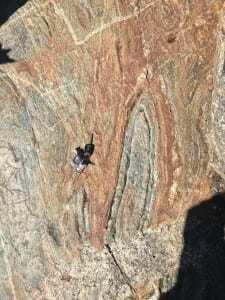 Derived from ultramafic, low crustal rocks, the serpentinite records a complex history of multiple instances of metamorphism, serpentinization, and deformation. 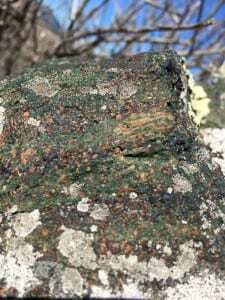 It is thought that the serpentinite was deposited originally as a olivine-rich harzburgite and was subsequently serpentinized during tectonic emplacement. Following emplacement, the unit underwent regional deformation and metamorphism during which it was de-serpentinized. 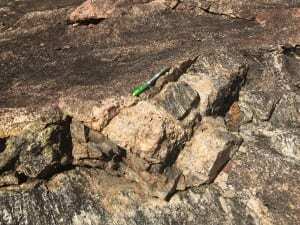 Finally, as granites were emplaced in the area, associated metamorphism anthophyllite grew and, as temperatures fell, serpentinization happened again due to hot water from the granite. Serpentinite quarry at the final stop. 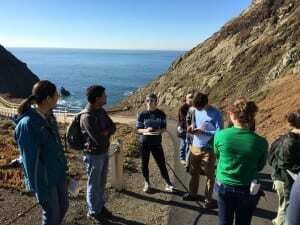 This blog describes the 3-day field trip that the Fall 2015 ESCI 322 class took to northern California with Professors Cin-Ty Lee & Rajdeep Dasgupta and TA Laura Carter, as told by the undergraduate students: Sofia Avendano, Anthony Foster, Alexandra Homes, Garrett Lynch, Oliver Lucier, Ian Mellor-Crummey, Leila Wahab, Shannon Wang, and Sam Zapp. This site overlooked San Francisco Bay directly across the Golden Gate Bridge. During the Jurassic period, following Pangaea, the Farallon plate subducted underneath the western North American plate. At this stop we saw silica-rich cherts on top of ancient oceanic crust. The cherts were once laminated sedimentary deposits formed from diatoms and during subduction were scraped off as part of the accretionary prism. These specific cherts formed near the equator, probably during the Jurassic era. In composition, these cherts are 99% silica, but also contain some iron and manganese. This composition arose as iron and manganese were dispelled from the mid-oceanic ridges and deposited within the silicic ooze that becomes chert. We also noticed fractures filled with quartz in the form of white veins. Over to the right we saw darker, older, green bands, which had not been oxidized. 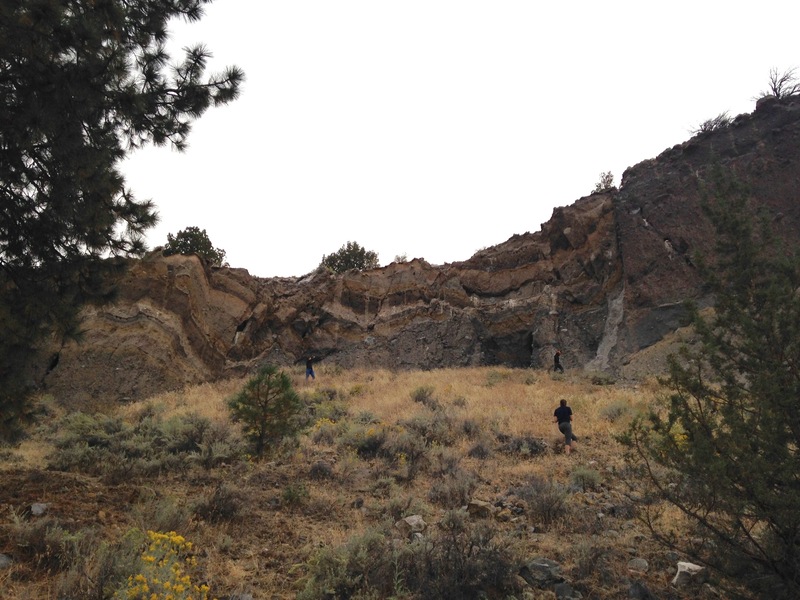 Students Oliver Lucier and Sam Zapp looking at a pillow basalt outcrop with Garrett Lynch and Alexandra Holmes looking on from above and TA Laura Carter from below. The pillow basalts here formed from magma that upwelled due to the divergent boundary at the mid-ocean ridge and was erupted underwater. Zoned phenocrysts of plagioclase feldspar were visible, indicating that they grew intrusively before eruption. The surrounding fine grained matrix was extruded on the seafloor where it cooled quickly. The edge of each pillow featured a glassy rind where the surface of the lava body cooled even quicker with direct contact with the water. 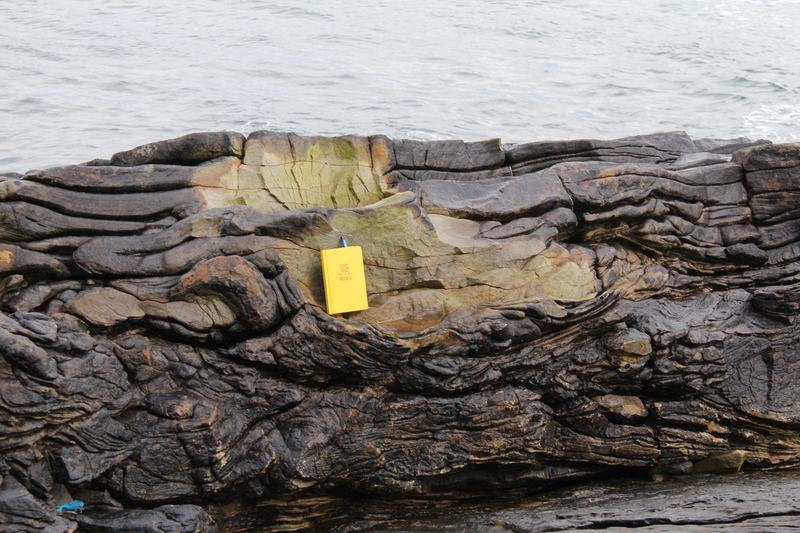 Layers of chert were deposited on top of these pillows in a marine setting. Here we saw a number of boulder outcrops. Eclogite needs high pressure and high temperature conditions to form, so its presence was indicative of subduction zone setting. 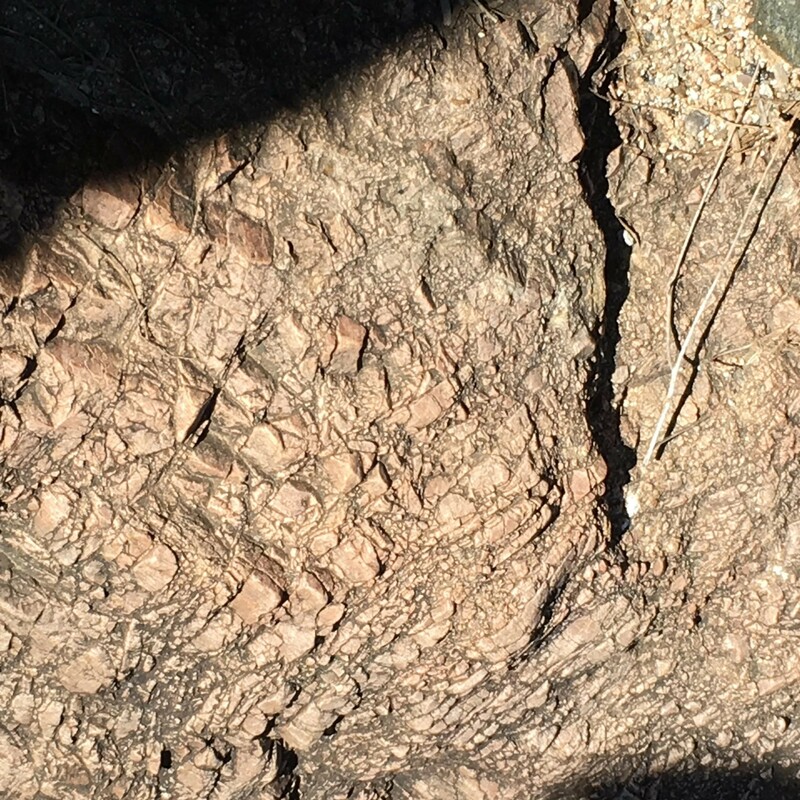 Chemically, it is very similar to the pillow basalts we saw earlier at the Marin Headlands, suggesting this may be the protolith. However, the eclogite samples we saw were also enriched in sodium, probably from hydrothermal processes, giving a special form of pyroxene: jadeite. In eclogite, the aluminum in the protolith plagioclase is now held in garnet. As it moved back up through the crust, some of the eclogite retrograded into blueschist, greenschist and amphibolite. The heterogeneity of the metamorphic grade may have been caused by uneven distribution of fluids. The kinetics of retrograde metamorphism can be slow, but the presence of fluids makes retrograde metamorphism occur faster. 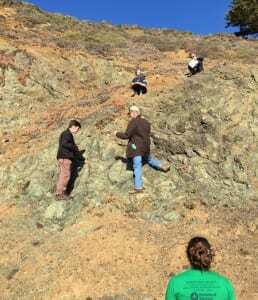 The last outcrop we saw here was composed of peridotite. It contained orthopyroxene and olivine, so it would be classified as harzburgite. Peridotites with a much greater amount of orthopyroxene are lherzolite. These peridotite xenoliths had a slightly brown / tan coloring due to the weathering at the Earth’s surface. We also saw some serpentinite—altered peridotite—in the area. We observed a rookery of seals accompanied by a lone sea lion as if he meant, through his presence, to elicit an ironical play upon a Danish children’s story. Abreast of these seals, two shovelers swam, feeding, and one merganser swooped through, low, tantalizing the water. Here we did a short nature walk travelling along the path of the San Andreas fault. We saw a fence that was displaced several feet due to previous movement along the fault, which is evidence of an ongoing right lateral strike slip fault. 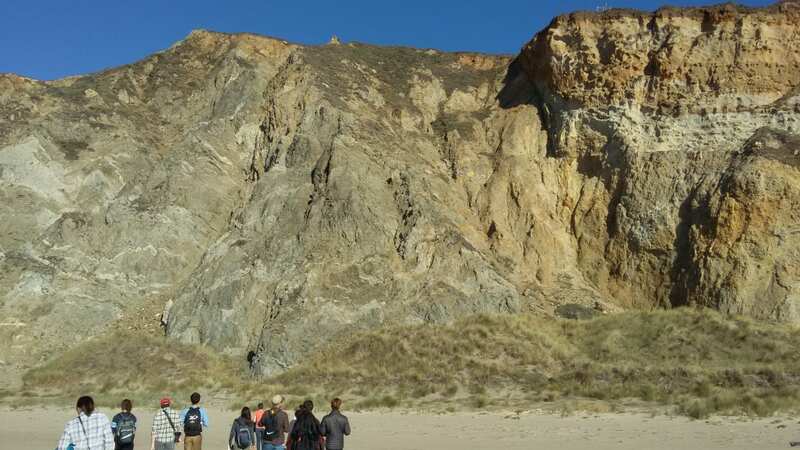 Along Point Reyes on the Pacific Ocean there was a series of cliffs with igneous outcrops that were the roots of a magma chamber from the Cretaceous next to marine sediments from the Miocene, representing a large unconformity. 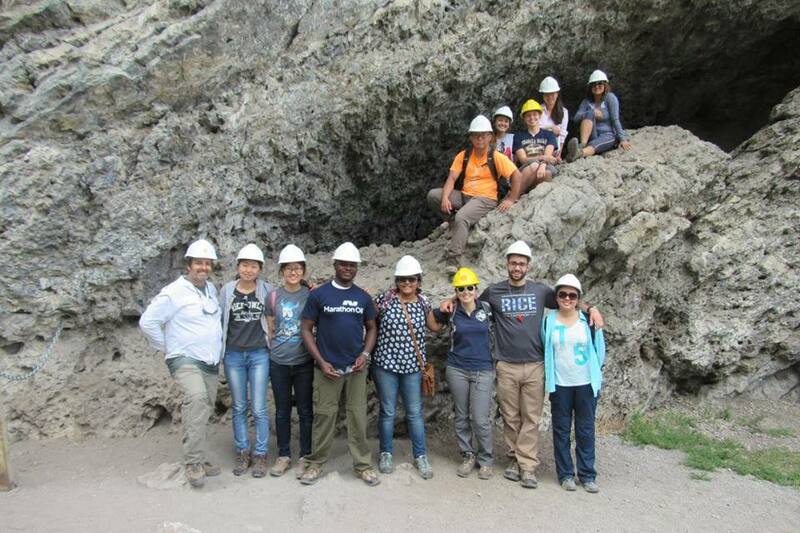 Here, we could see cross cutting relations in the igneous outcrops where magmas of different compositions interacted. The parental magmas were more basaltic, while the more felsic magmas were much more evolved. The intruding felsic magmas were much more viscous, so they mixed in some places but stayed clearly separate in others, and then froze in place. Mixing of the magmas indicated that the surrounding rock was still magmatic mush when they mingled. Sharper boundaries between two magmas is also visible. This was likely due to the fact that basalt has a higher melting point, so when it cooled, it contracted and pulled some of the surrounding liquid in. These intrusions occurred further inland from the subduction zone, around 10 km below the surface. In the foothills of the Sierra Nevada, we saw an outcrop on the exposed shoulder of a highway. 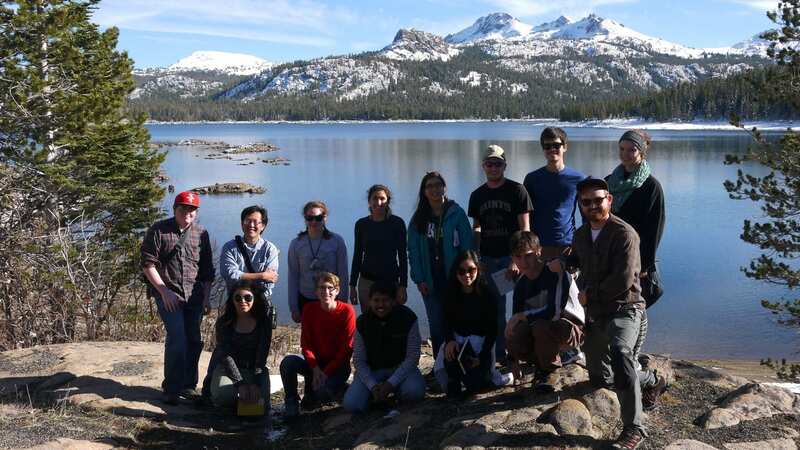 Sediments had been collected from the Sierra Nevadas and compacted into layers. The layers originated from granodiorite which lost much of its magnesium and iron, leaving behind what became predominantly kaolinite (Al2SiO5). The lower layers of laminated deltaic sediment gave way to cross-bedding features as a fluvial system moved through the area. 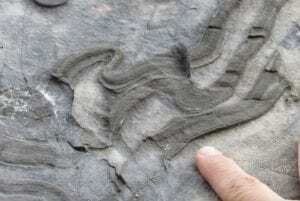 At the edges of the formation, there was evidence of soft sediment deformation. We also stopped at Silver Lake for lunch. Beside the lake there were these interesting boulders which appeared to contain clasts of petrified wood. Across the lake we saw large lava flows of andesitic magma, now part of an imposing mountainside. The edge of Mono Lake contains massive collections of tufa deposited in towers. 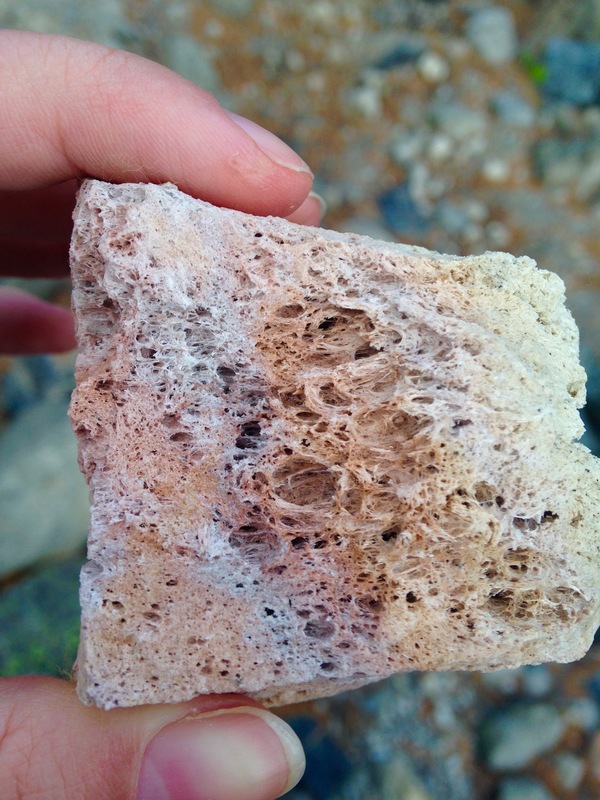 We learned that these tufa deposits are a result of the very alkaline water from the lake mixing with calcium rich spring water from the Sierras, which precipitates calcium carbonate (CaCO3). 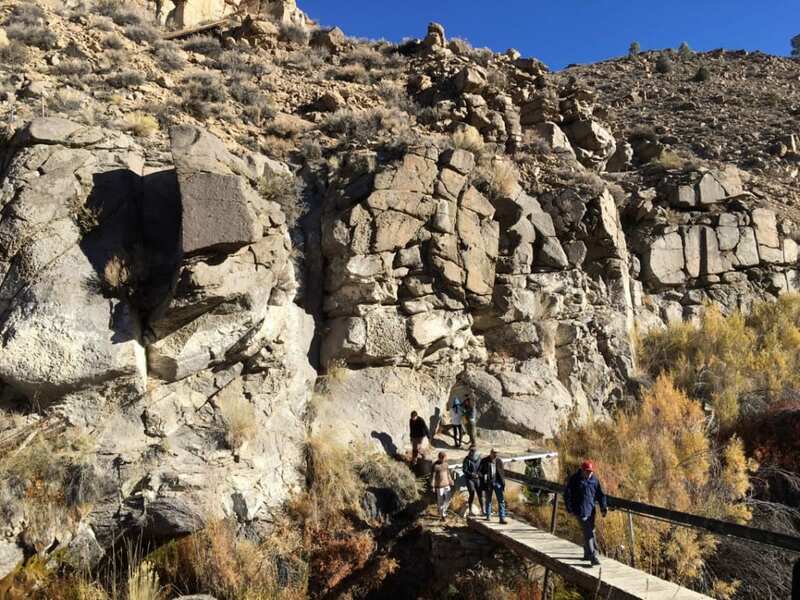 The tufa deposits become visible and form large columns due to the water level of Mono Lake lowering over time. 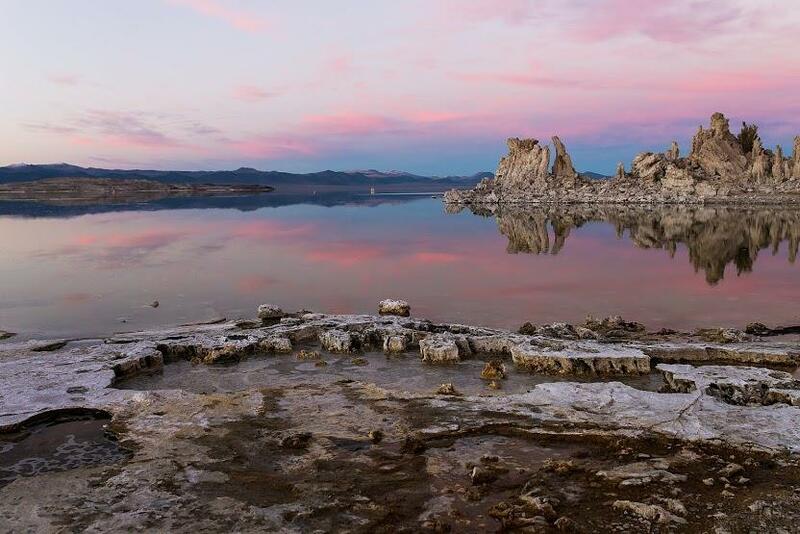 In the past, the springs feeding Mono Lake were drained to provide water for places like Los Angeles and other urban areas, which made more and more of the tufa deposits visible. 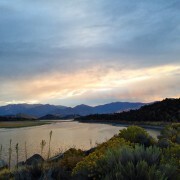 Only in recent years has this been slowed and Mono Lake protected. The Long Valley Caldera is in the Basin and Range region, which underwent extension. The Caldera was active 2 million years ago, but the last eruption occurred 700,000 years ago and erupted 700,000 m3 of rhyolite. The eruption style was Plinian, which is very explosive, caused by magma fragmentation, and characterized by fine ash. The ash of the eruption spread throughout the western US. There were also resurgent domes with the same magma composition, but with effusive style eruptions since the magmas had already been degassed. 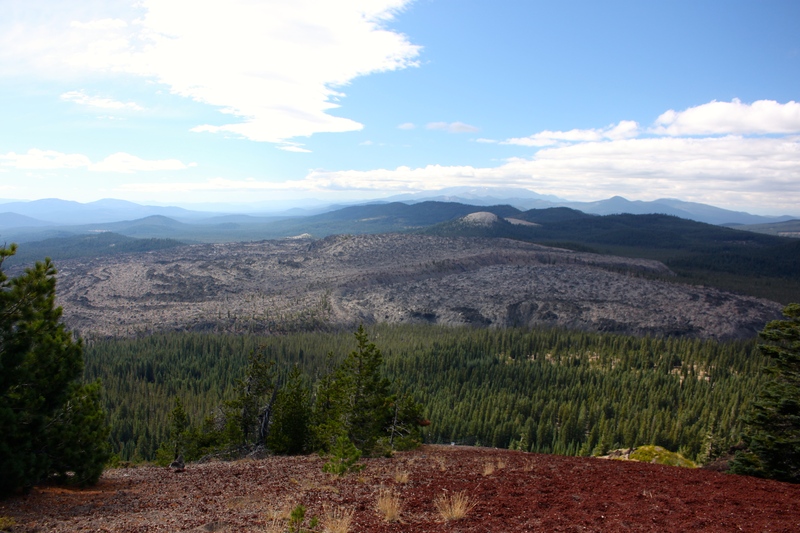 The youngest lava flows were 7,000 years old. Under the Basin and Range extension, decompression allows the mantle to cross the solidus, which leads to alkalic basaltic magmatism. Basalts that re-melt the crust fractionate and form rhyolites, so there are both extremes here: basalts and rhyolites. 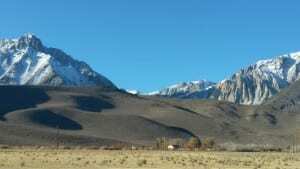 It is still unclear how basalts skip to rhyolites with no intermediate composition. The actual magma body was 10 km below the surface. 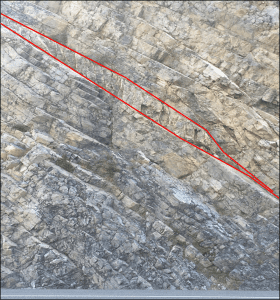 The magma body builds up pressure, creating fractures, and, when the pressure exceeds the yield stress of the rock above, the system evacuates and the roof collapses. This has left a low, flat ~10 x 20 km area. 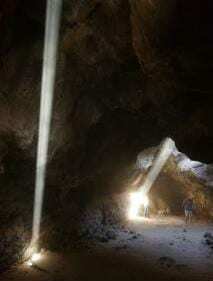 Fumaroles, where magmatic gases were still escaping due to residual heat, were also visible. 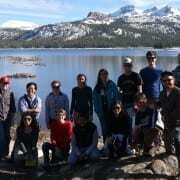 Around the caldera, there were also moraines, large sediment mounds moved by glaciation, visible along the outskirts in front of the Sierras. At the base of the gorge, we saw evidence of a huge rhyolitic ignimbrite, which must have erupted over an incredibly short period of time (estimated at around 6 days). There were three different layers denoting sequential eruptions. 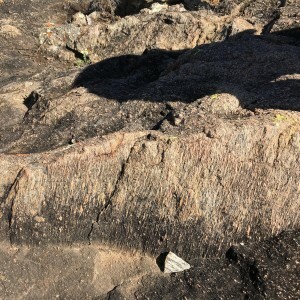 The lowest layer was more porous, with many lateral fractures and no evidence of compaction, which indicates that the lowest layer cooled before the weight of the next eruption could deform it. The texture of this tuff was friable, easily breakable, and it was more silicic than the upper layers. The first layer was probably an initial pulse of small eruptions right before the large eruption. Weak precursor eruptions tend to have ashfall rates slower than cooling rates. The middle layer had a very clear fabric with small pumice ejecta elongated and oriented in the same direction, which shows that the layer was compacted. Thus it cooled slower than the layer below. The strain of the rock can be found from the aspect ratio of the elongated clasts, perpendicular to the bedding. 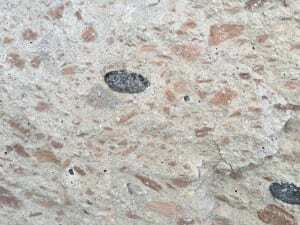 This layer was welded ignimbrite, which contained fiamme, and was formed under high temperature and pressure. Jointing occurred after cooling due to contraction. The upper layer was mostly ash with pre-existing metamorphic, Paleozoic clasts caught in the ash (lithics). 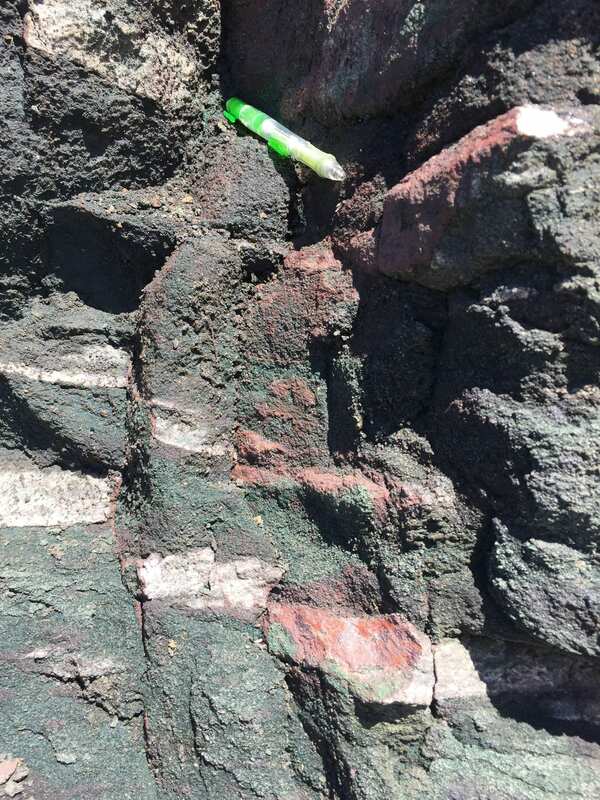 There were also pink pumice clasts that also have an individual fabric, which probably came from a different eruption, and had elongated vesicles caused by compaction. There was no larger scale fabric because there was not enough overpressure to deform the material, so the last eruption must have cooled quickly. Panum Crater is what remains of a rhyolitic plug-dome volcano. Volcanic eruptions in this area began around 40,000 years ago. Panum Crater itself is approximately dated at 650 years old and is the youngest in the area. 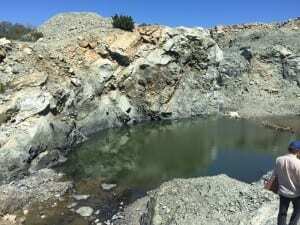 The explosion occurred as a magma bubble heated the water table into instant, high-pressure steam. 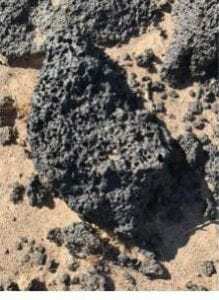 Pumice was the first to be expelled from the volcano, and deposited around the outside of the crater. Following, breccia formed a dome over the crater, followed by lava flows that cooled to obsidian, which dominate the landscape. The rhyolitic eruptions in the crater produced very silicic lava (roughly 76% SiO2), which is highly viscous and created the two main types of rock we saw: pumice and obsidian. The pumice was very low in density and highly vesicular. 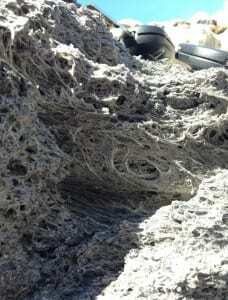 The vesicles formed from trapped air bubbles, indicating that the lava solidified quickly. Obsidian had little to no bubbles, but is the same composition as pumice. The obsidian cools quickly forming a glass, evidenced by the black rock’s conchoidal fracturing we saw. A curious sample of rock we found looked like obsidian but had what looked like mud cracks on its surface. This was actually a breadcrust bomb formed from molten lava chunks flung into the air. The outer surface cooled rapidly, but the inside was still molten, so the gases inside continued expanding. This cracked the surface of the rock, causing it to look like the crust of a bread loaf. Geologically speaking, obsidian never lasts very long. Devitrification causes glass to be more like rock and less like glass, so It is difficult to find glassy obsidian older than 10 thousand years old. The more vesicular the obsidian is, the faster the rate of devitrification since water gets in the vesicles. Thus, the rock samples at Panum were much younger than the samples at other formations we studied. 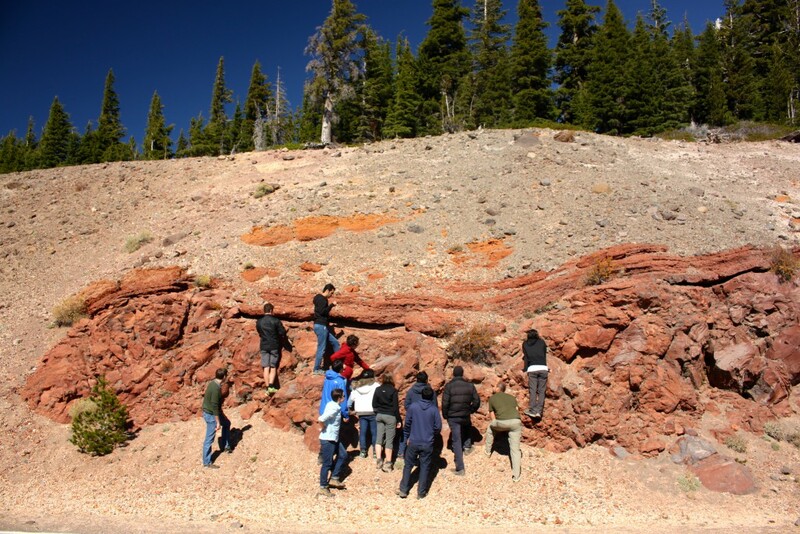 On our way from Panum Crater, we stopped to examine an omega-shaped formation on the side of the road. 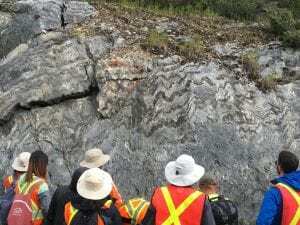 Upon close inspection, we found the rock to be very fine-grained and soft, with cross-bedding evident on the folds. This was formed when a basaltic flow erupted underwater. 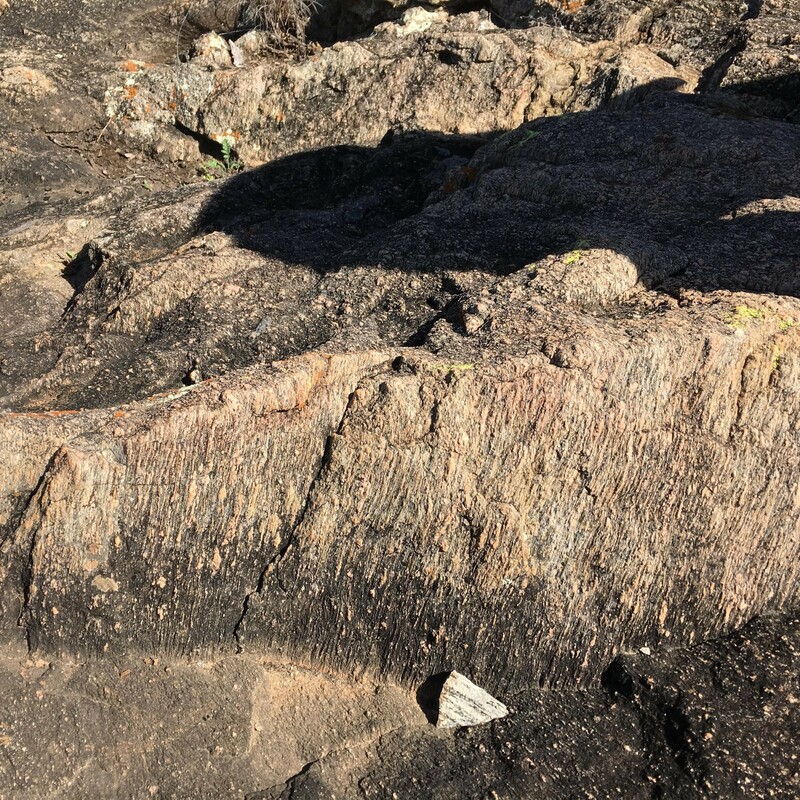 When basalt hits groundwater, it fragments and becomes very, very fine-grained, creating the soft texture that we observed instead of the texture we saw in previous basalt deposits. The deformation is very similar to soft-sediment deformation, and most likely occurred when the rock was still warm and ductile. 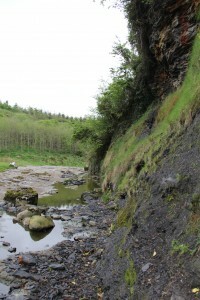 Cross-bedding was likely a result of basaltic ash settling in bodies of water nearby, creating the sloped deformation, and cross-bedding typical of river systems. 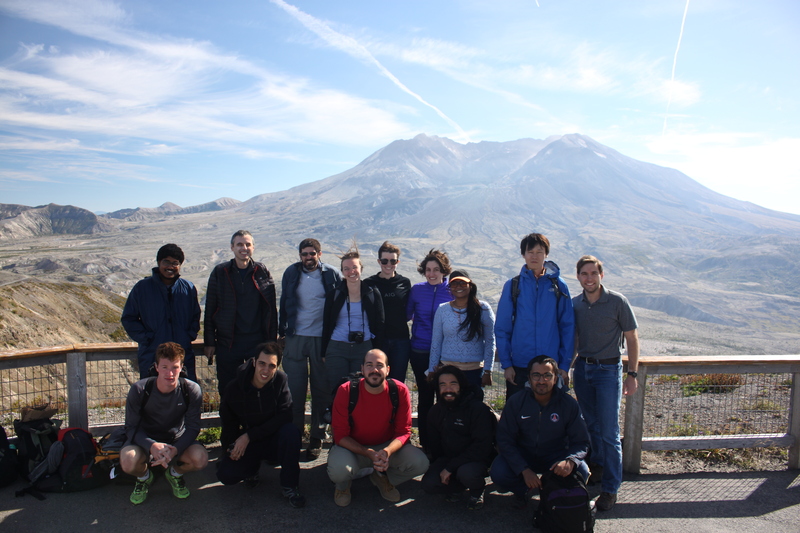 Sept 30th: Dr. Helge Gonnermann’s Volcanic, Magmatic, and Hydrothermal Processes class set off dark and early Wednesday morning from Houston to the Cascades of California, Oregon, and Washington. 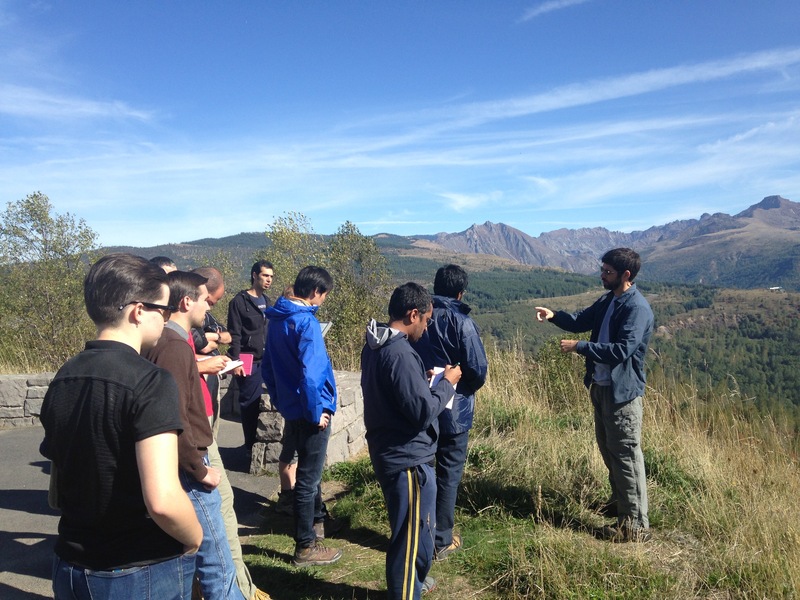 We ventured across this varied volcanic terrain interpreting and learning about local and regional geologic events. The Cascades are an active continental volcanic arc resulting from the subduction of the Farallon plate beneath North America. Our first day consisted mostly of driving from Portland to Mt. Shasta and setting up at our lodging, a sweet house called Falconhurst (I still can’t get over the Bronte-ness of that name). Oct 1st: Thursday, we drove through Mt. Shasta’s expansive debris flow deposits; these volcanic remains used to be mapped as glacial due to their poor sorting and extensive coverage. This is the largest subaerial debris flow on earth with an expanse of 450 km2. 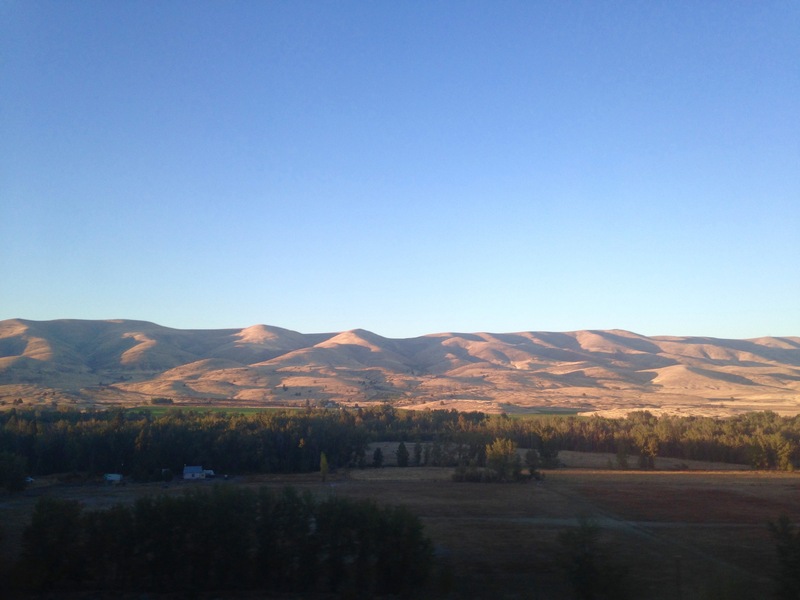 The huge hills we saw at every roadside stop were bits of ancestral Mt. Shasta’s flanks, deposited during the landslide 300,000-360,000 years ago. Mt. 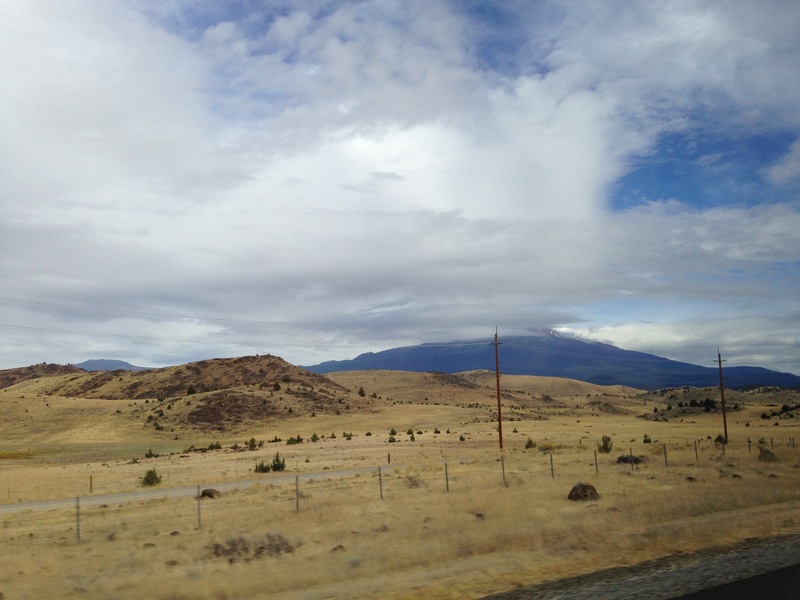 Shasta and hummocks, pieces of its ancestral edifice deposited during a landslide. After dinner, several trip members were feeling peaky, so I made some medicinal grade ginger honey lemon maple tea, which was said to have “quite a kick”, and to be “reviving” (kind euphemisms for how spicy it was). The official recipe is as follows, but may be adjusted to taste. Nightly discussion featured vibrant political debate. Dr. Thomas Giachetti, who was Helge’s post-doc at Rice and is now a professor at the University of Oregon, joined us for dinner. Oct 2nd: I awoke Friday morning to the dulcet tones of the smoke alarm wailing as the breakfast bacon burned. If you can’t handle thermodynamics, stay out of the kitchen! As we embarked, Sriparna noticed that every person in our car was from a different country (India, China, Iran, France, Brazil, USA), which I think is unique almost anywhere. We hiked up Mount Lassen at Lassen Volcanic National Park. 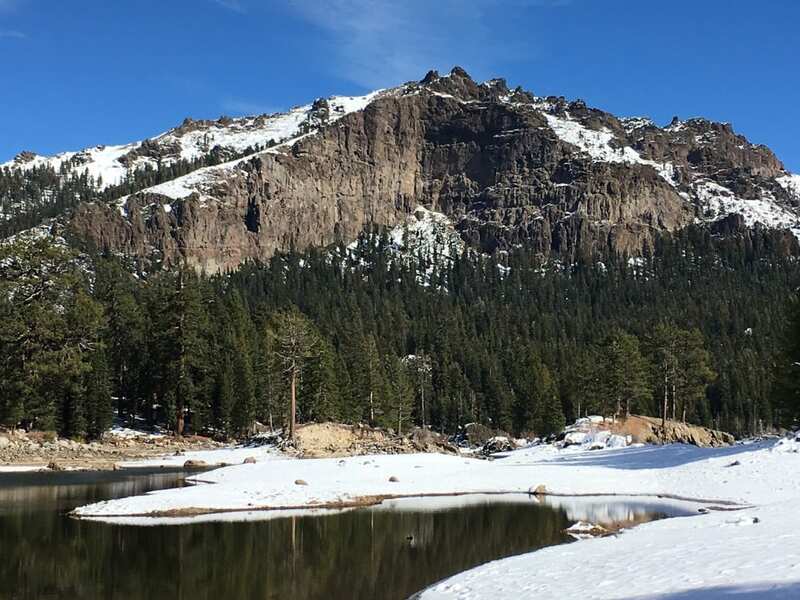 Lassen Peak is a dacitic dome, with pyroclastic dacite deposits containing phenocrysts and mafic enclaves, and dacitic pumice away from the peak. 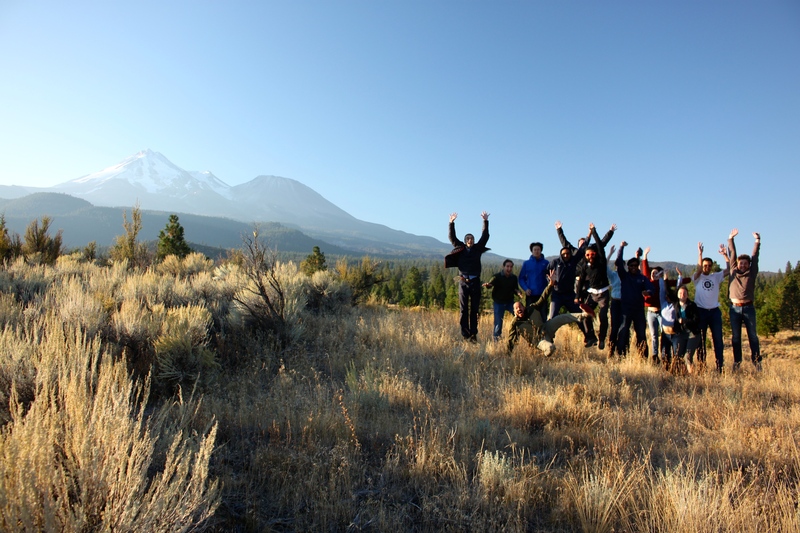 From the top, you can see Mount Shasta and the U shaped valleys carved out by glaciers in the last ice age. View from Lassen Peak with Mt. Shasta in the background. Photo credit Thomas Giachetti. We continued on to an a’a flow! I could hear the stratification of bubbles within the solidified flow as we trod over it, from the deep clunk of fragments of the dense inner core to the high-pitched glassy crunch of the sharp and vesicular upper crust. 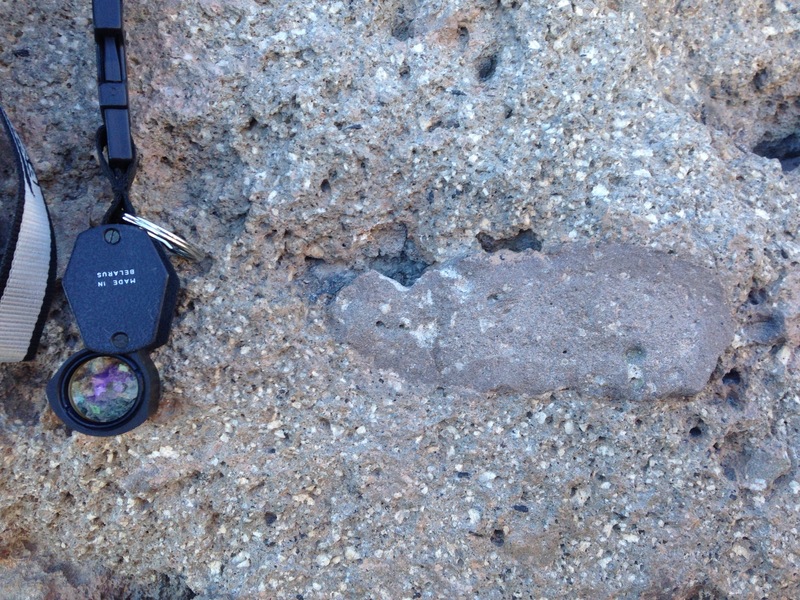 The flow had angular shards, round bubbly blobs, and solid dark fragments with visible feldspar phenocrysts. At 8:15 pm we pulled the cars onto a side road on the way back to Mt. Shasta in the pitch dark to see the stars. The Milky Way was a full, bright arc directly above us, all the way across the sky. Satellites and shooting stars burned tiny white trails through the dark velvety firmament. I made a wish. 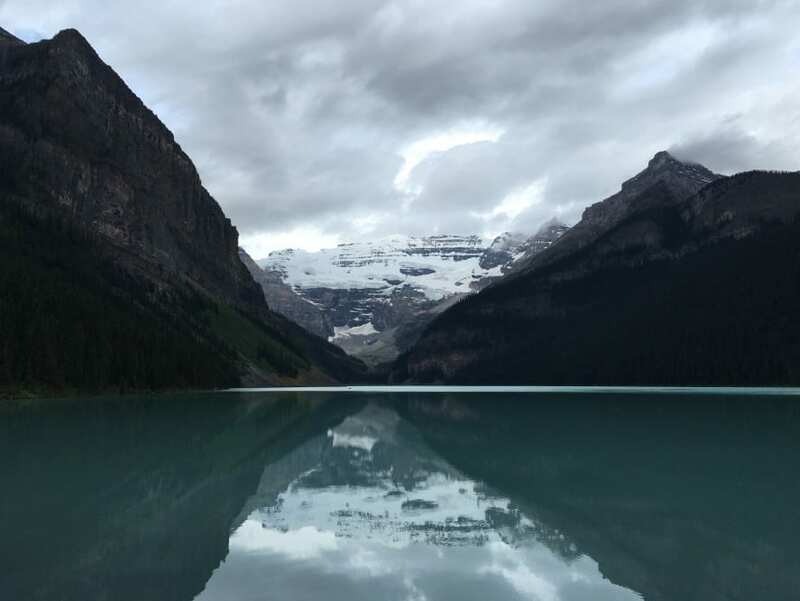 It seemed impossible to take pictures of the sky, and we all decided it was best to experience the moment without needing to take it back home to show anyone else. 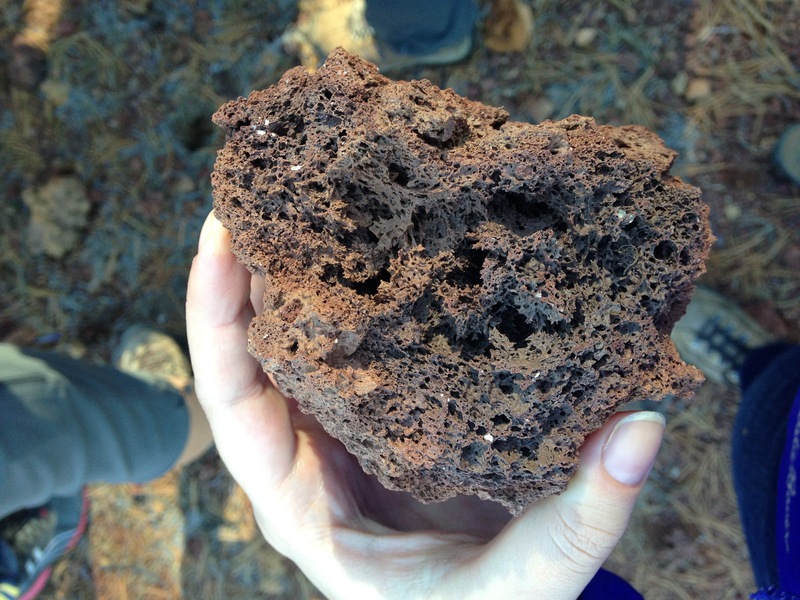 Oct 3rd: Our first stop Saturday was a basaltic pahoehoe and a’a lava flow, featuring a network of lava tubes. 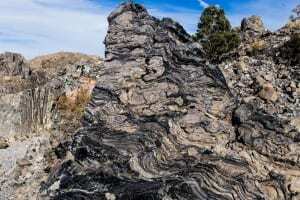 Flow direction was evident in the ropy pahoehoe sections by concentric surface flow features. Across the road was a scoria deposit; its clasts had smaller vesicles on the outside, smoothed from air fall, while their insides had larger bubbles where bubbles had enough time to coalesce. Scoria airfall clast. Note the small vesicles on the outside (from airfall smoothing) and the larger ones inside (due to bubble consolidation). We ate lunch at one of the highest points in the Medicine Lake volcanic area, with a great view of Little Glass Mountain (which is not so little) and Mt. Shasta’s head in the clouds. LGM is an effusive (non-explosive volcanic) obsidian rhyolite flow from 1000-1100 years ago. It is pancake-shaped with steep sides and a small dome in the middle near the vent. Little Glass Mountain . Mt. Shasta in the clouds in the background. Photo credit: Thomas Giachetti. Our next stop was Big Glass Mountain, another obsidian dome featuring glossy black volcanic glass banded with reticulite (a frothy, lace-like obsidian glass) in complex folds and beautiful flows. The banded textures are thought to result from magma exsolving dissolved gases; during eruption the shearing motion and pressure causes concentration of the gas in some layers but not others, or, alternately, shearing causes volatile exsolution and concentration. It was impossible to take enough pictures. We found beautiful folds that looked almost like fabric, and red layers intermingled with black obsidian. We discussed whether the reddish colors are iron oxidation, sericite from plagioclase microlite alteration, or some other alteration product. Exsolution bubbles and textures at Big Glass Mountain, CA. Photo credit: Thomas Giachetti. My carmates were exceedingly kind about my eclectic music taste, with only minimal teasing about how ridiculously miscellaneous it is. Oct 4th: Sunday morning we drove up to Portland via the magnificent volcanic Crater Lake and Mt. 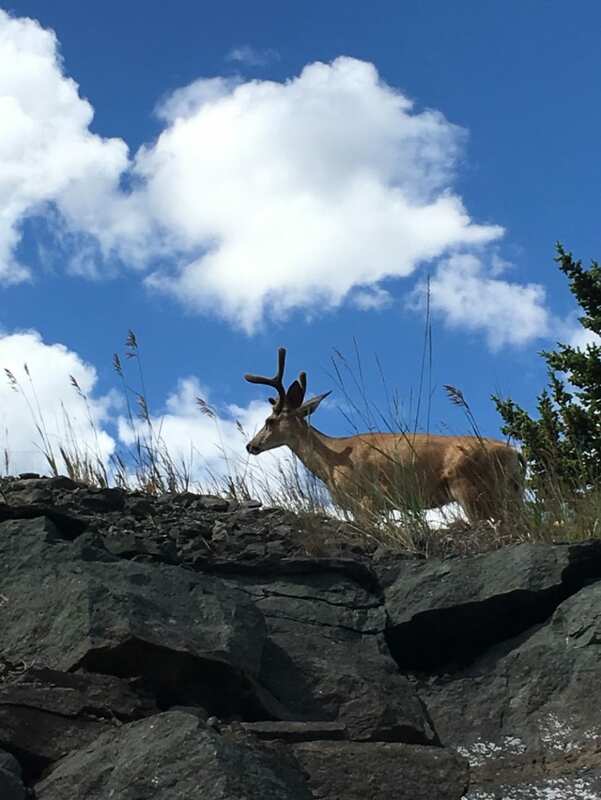 Mazama. The ash flow tuffs at the bottom of Mt. Mazama’s flanks are from the climactic eruption; their composition changes stratigraphically, indicating compositional changes of the magma chamber from which they erupted. This climactic event produced 40 times the eruptive volume of Mt. St. Helens. 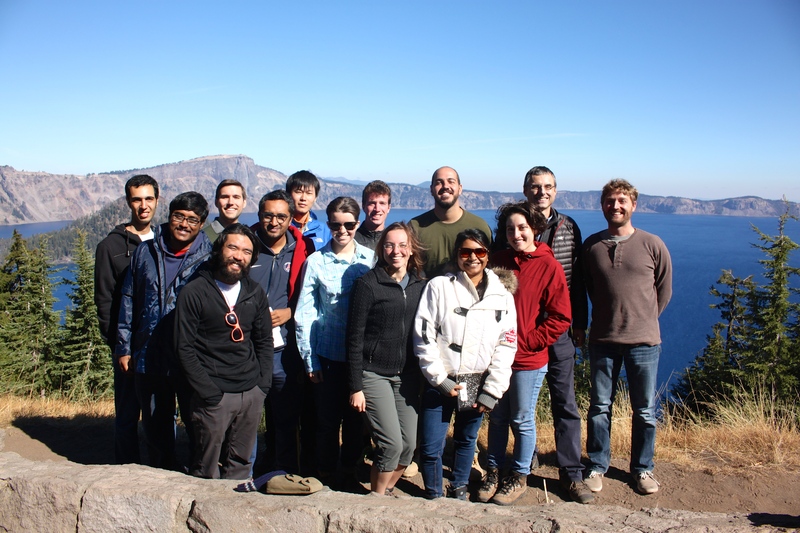 We estimated that the lake in the caldera could fit about 45 Rice campuses on its surface. The layered flows on the cusp of the crater tell stories of the cataclysmic eruption. A red, weathered dacite lava flow on bottom is overlain by an orangey layered welded tuff flow, with a white pumice air fall deposit on top. Volcanic glass is not stable at atmosphere temperature and pressure, so it has begun to devitrify, crystallizing into spherulites over time. Layered flow deposits on the rim of the Mazama caldera. Photo credit: Thomas Giachetti. Volcanic glass devitrification (spherulites). Photo credit: Thomas Giachetti. Today in the car, while sharing music, we learned that the word ‘zindagi’ means life in both Hindi (जिंदगी) and Persian (زندگی). Persia and India have previously shared a border and continue to share culture, which persists in the language. Further north we began to see the Columbia River Flood Basalts, thick and hilly due to erosion, and golden from the grain fields covering each surface. Columbia River Flood Basalts, eroded and with a splash of alpenglow. Oct 5th: Monday we had breakfast on the road; Helge told us stories of growing up on a farm in Germany with his favorite dairy calf, Sputnik. 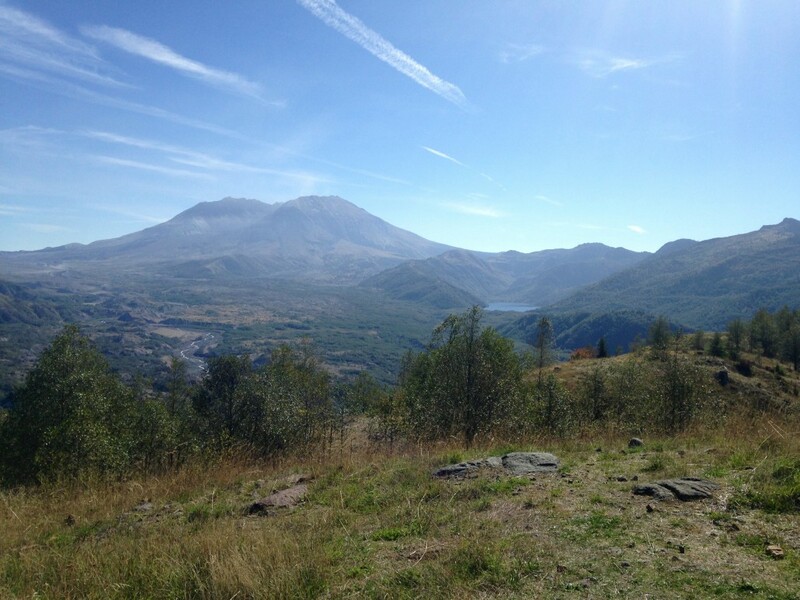 We had uncommonly clear weather for our visit to Mount St. Helens. Small rock falls in the crater released bright dust clouds visible from kilometers away. 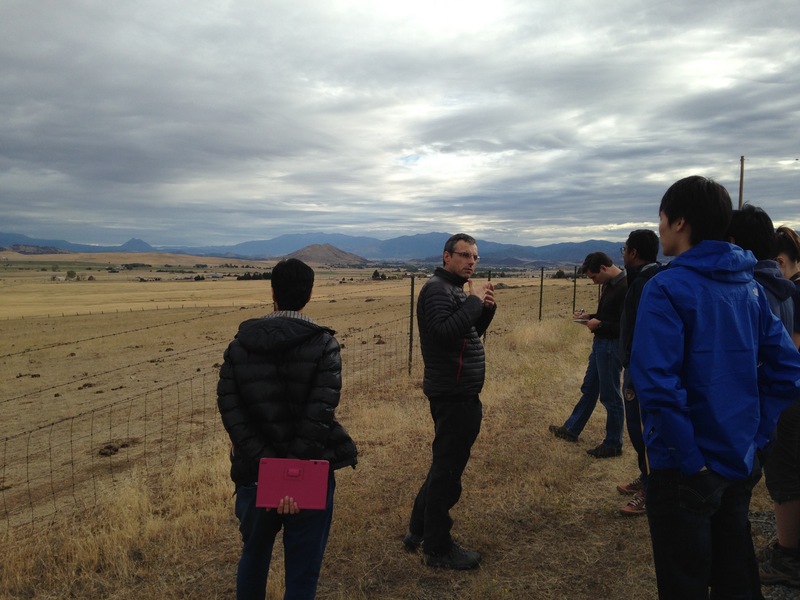 Dr. Mike Poland, geophysical researcher for the USGS and expert on remote deformation measurement, was our guide. Mt. 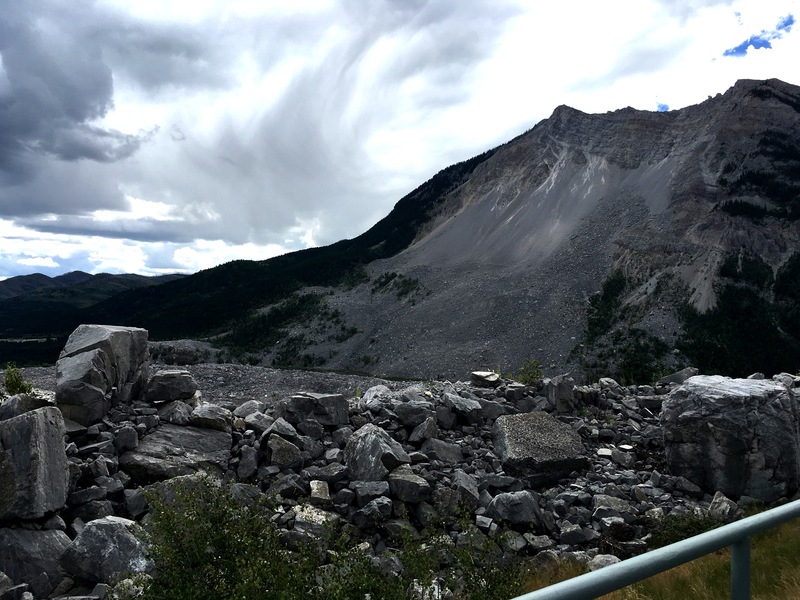 St. Helens is a member of the Cascades, famous for its catastrophic 1980 eruption. A cryptodome of pressurized magma began to build, pushing up the rock above it. When the rock above became gravitationally unstable, it fell, depressurizing the magma and causing the eruption and pyroclastic surge. All was quiet until 2004-2008 when a spine of hot crystalline rock, called the “whale back,” emerged within the crater. As Dr. Poland discussed the things we can and cannot explain about eruptions, I’m struck again by a recurring thought of how young geology is as a science. People have been observing natural phenomena for millennia, but really understanding what they mean is an art. Seeing eruptive phenomena in person clarifies processes that are otherwise obfuscated by time or preservation bias. One can piece together that hummocks downhill of Mt. 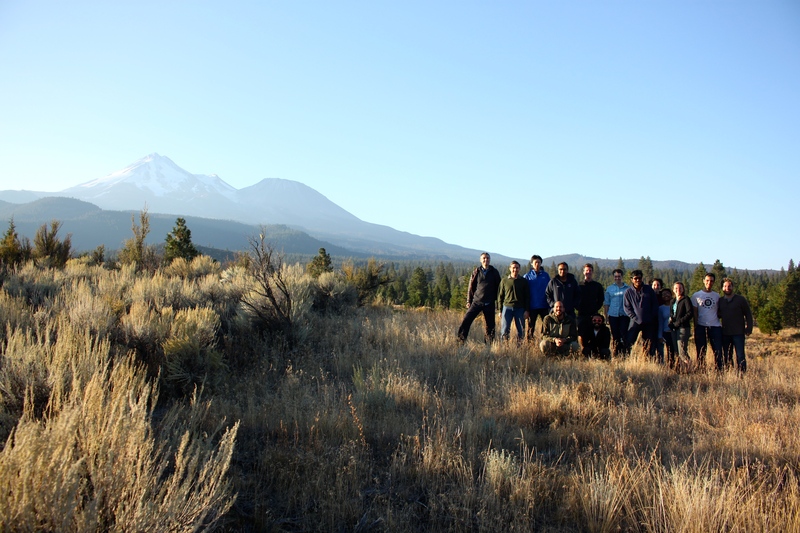 Shasta are pieces of the edifice, but until you see Mt. St. Helens erupt and move material in the same way, you can only guess. Geologists have time working both for and against us; eons are preserved in the rock record, but we only have our own perceptions, experiences, and conceptual limitations to guide us. Mt. St. Helens. Slight dust visible at the top of MSH from gravitationally unstable rockfall. Our group in front of Mt. St. Helens with Dr. Mike Poland, who was kind enough to guide us. Photo credit: Thomas Giachetti. 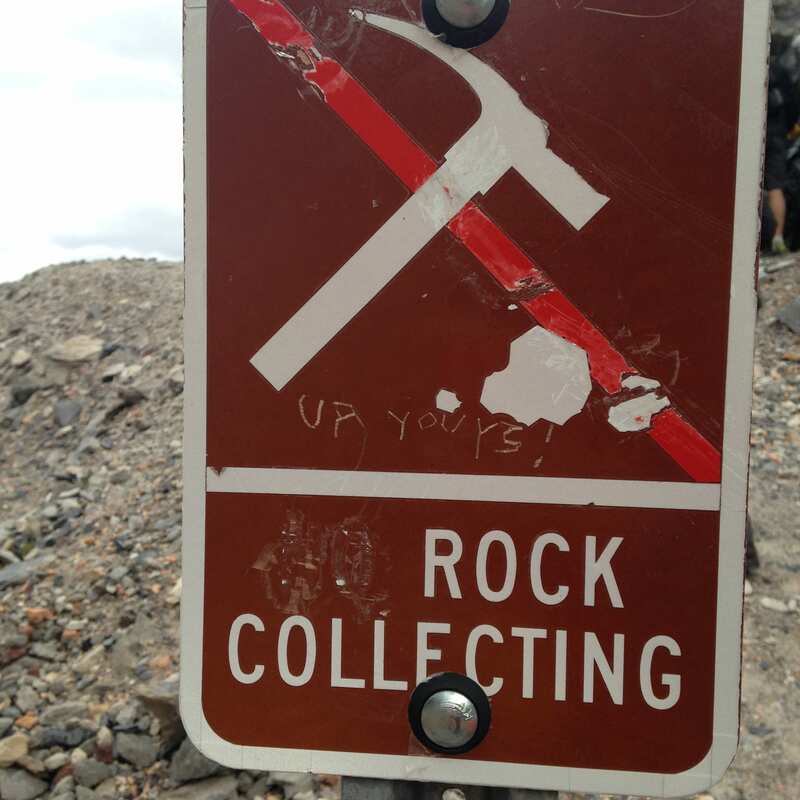 I get the sense that losing volcanologists to volcanoes still stings. The way Mike and Helge reminisced about Dr. David Johnston, a geologist who died in the 1980 eruption, and Gerry Martin, the radio operator on the ridge behind him, there was a persistence of loss, and a solemnity underlying the oft-retold stories. Volcanology is scientifically fascinating, which draws us to it, but its dangers must be taken seriously. Sometimes curiosity comes at a price. Thanks so much for a fantastic day, Mike! Monday night we ate at Beaches, a beach-themed (not Bette Midler themed?!) restaurant on the water in Portland. Our waitress was sweet and bubbly. At the end of our meal, she gave us saltwater taffy, and handed us packages of stick-on mustaches, telling us to get crazy and have fun. 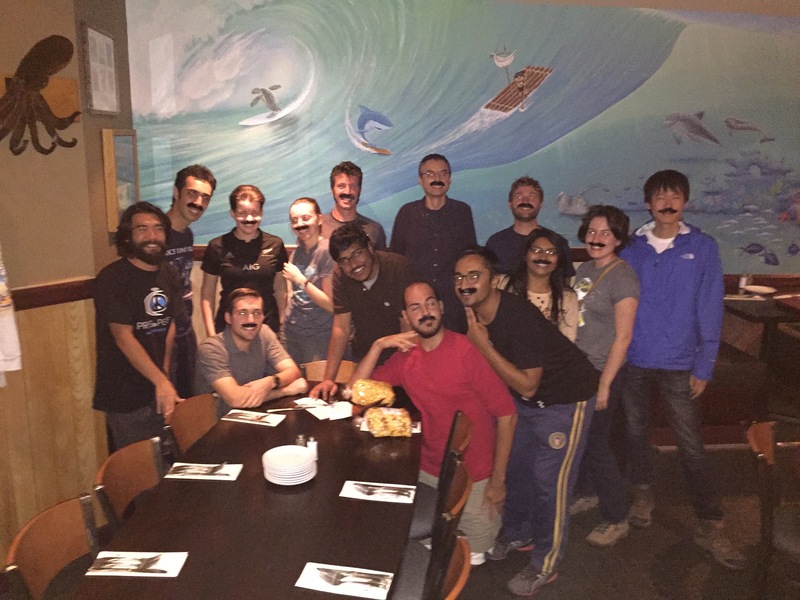 We took a group photo wearing them, and I think we all looked very distinguished. Oct 6th: Tuesday morning we left the house at 4 am to get to the airport. When we all arrived home and unpacked, the TSA had searched each of our bags. I guess there’s something suspicious about carrying home pounds and pounds of rocks as souvenirs? 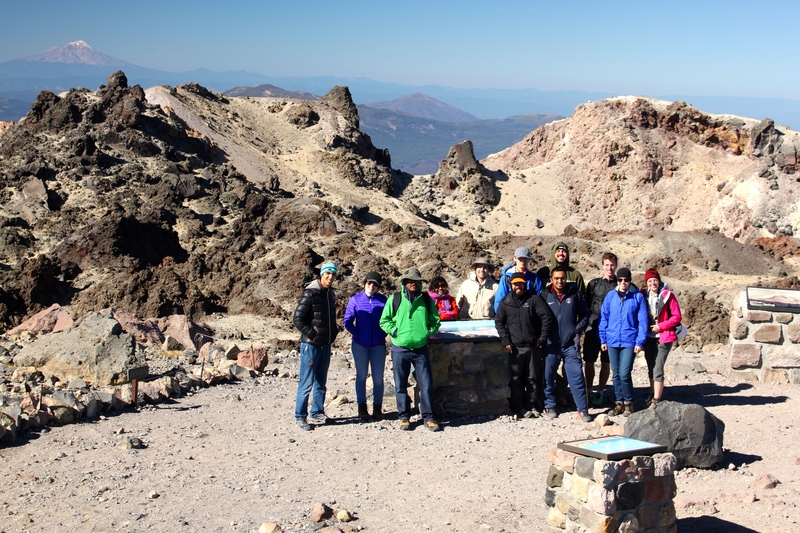 This trip greatly expanded my understanding of volcanic processes, and was a wonderful experience overall. Pumice from the Glass Mountain area. Color differences are due to temperatures of cooling. 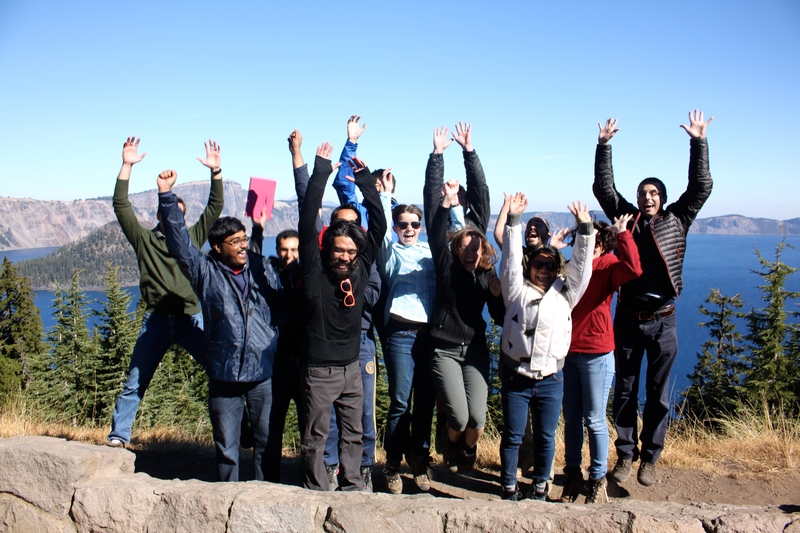 Group in front of Crater Lake. Photo credit: Thomas Giachetti. What a coordinated group. Photo credit: Thomas Giachetti. 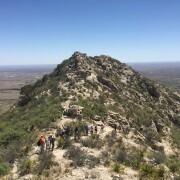 Group in front of Mt. Shasta. Photo credit Thomas Giachetti. We love volcanoes! Photo credit Thomas Giachetti.